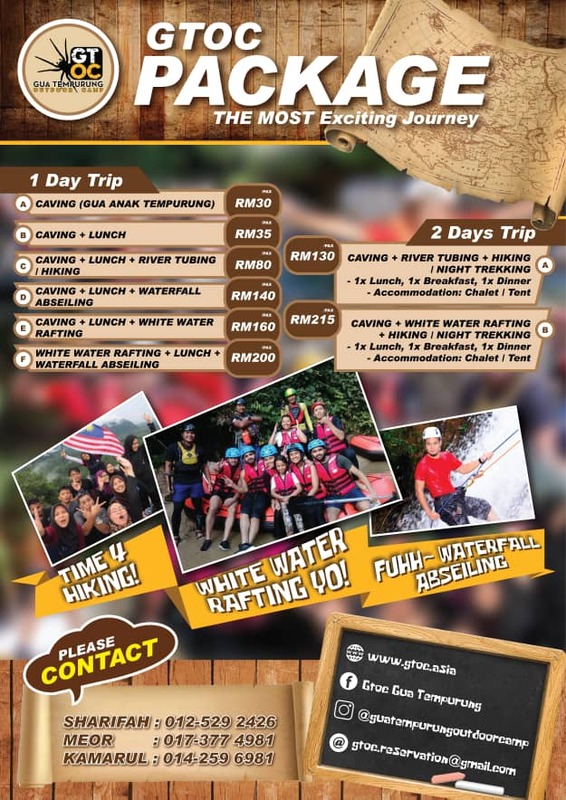 Gua Tempurung Outdoor Camp (GTOC) is located at Gopeng, a small town 25 minutes’ drive from Ipoh, Perak capital city and 2 hour from Kuala Lumpur and Penang. 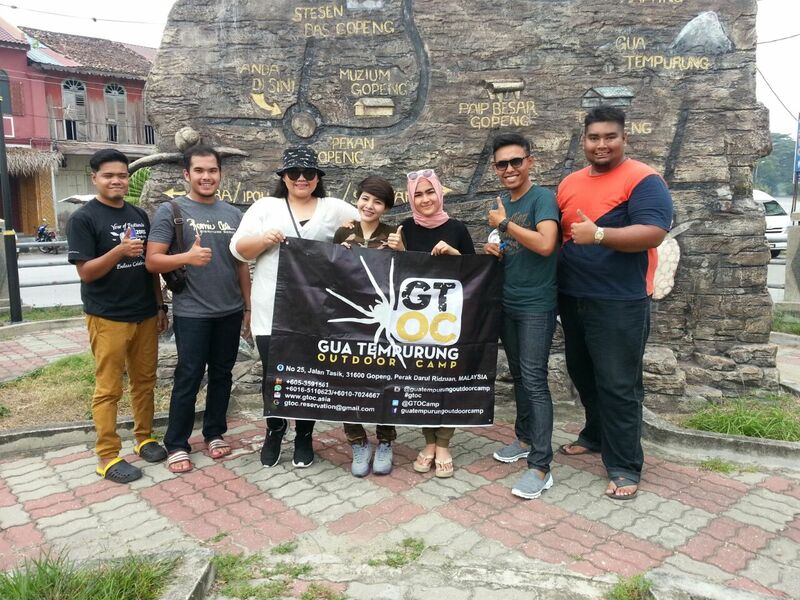 GTOC was established in April 2014 with the registration number IP0409354-H. 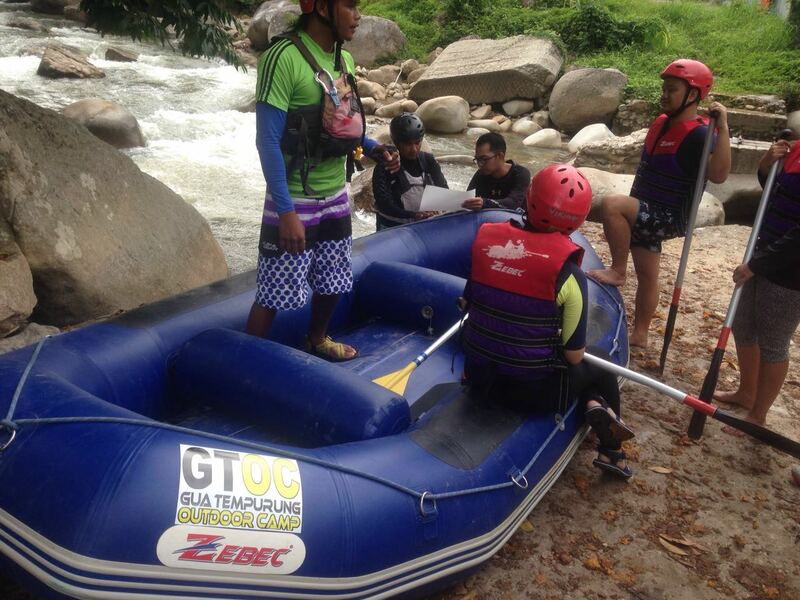 Compatible with the previous company experience, GTOC focuses on providing the adventure and outdoor activities such as cCaving, White Water Rafting, River Tubing, Waterfall Abseiling and many other recreation and outdoor activities that are available at Lembah Gua Tempurung. 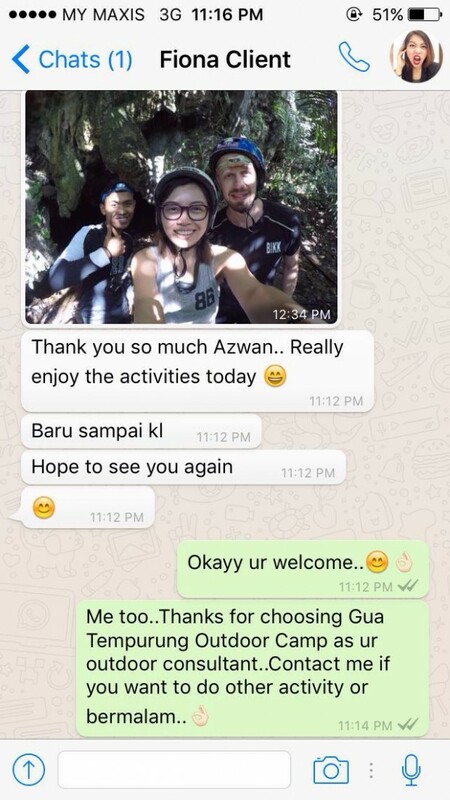 The other activities that we offered are Hiking, Night Jungle Trekking, Rafflesia Trekking, Rajah Brooke Butterfly Trekking, Kayaking, Tressure hunt and Tele-match.Besides that, to enable the customers to stay longer and carry out various types of activities at Gopeng, we also provide several types of accommodation such as chalet, dormitory and campsite for the customer’s convenience. 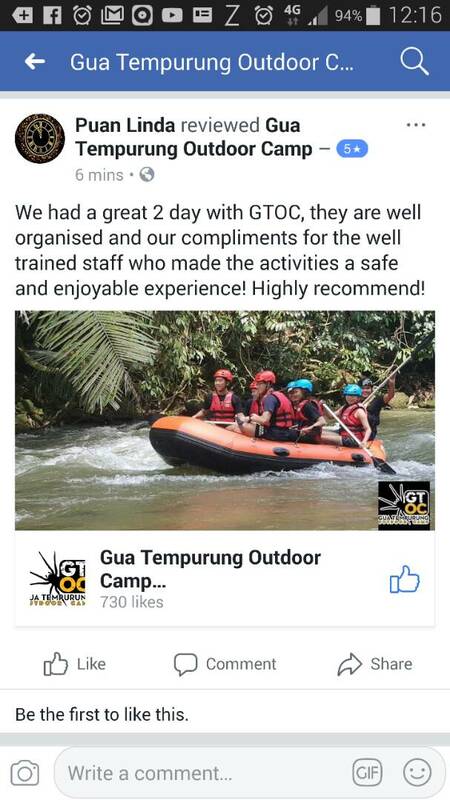 Until now, the activities offered by GTOC are well supported and received positive feedback from schools, higher education institutions (IPTA and IPTS), government departments and organizations that have chosen GTOC in conducting their camps and courses successfully. 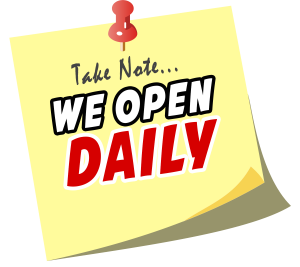 GTOC is also very committed and work hard in ensuring that the products and services offered have the best quality, safe and accordance with the customer’s needs and objectives. 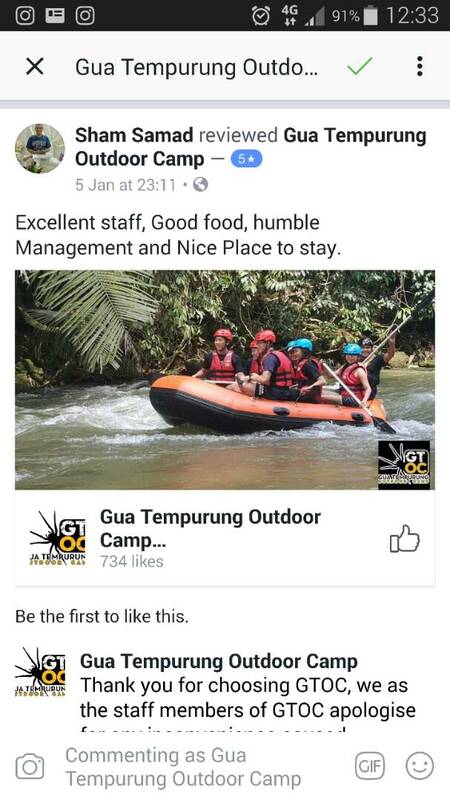 GTOC is operated and managed by a private owned Bumiputera company registered with the Ministry of Finance and Ministry of Tourism. So lets go on an adventure today ! 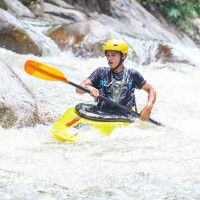 Gopeng is a town located in Mukim Teja, District of Kampar, Perak, Malaysia. 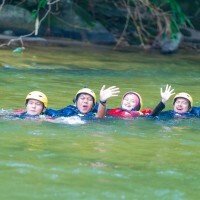 It is situated approximately 20 km south of Ipoh, the state capital. 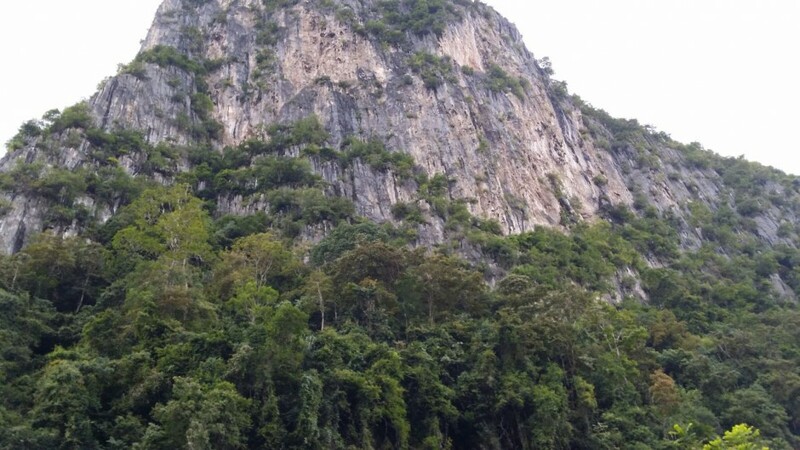 The limestone hills and the Titiwangsa Mountains are clearly visible; the expressway penetrate between them and the view of the Tapah Gopeng stretch is one of the most picturesque areas on the west side of Peninsular Malaysia. 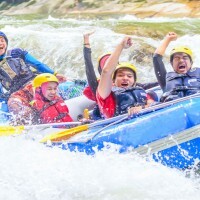 Due to its strategic location, locals are indeed very fortunate to have major towns approximately half an hour from Gopeng, Batu Gajah to the west, Ipoh to the north and Kampar at the south. Once this town was bustling with tin miners and locals who busied themselves with the great tin mining industry of Malaysia. 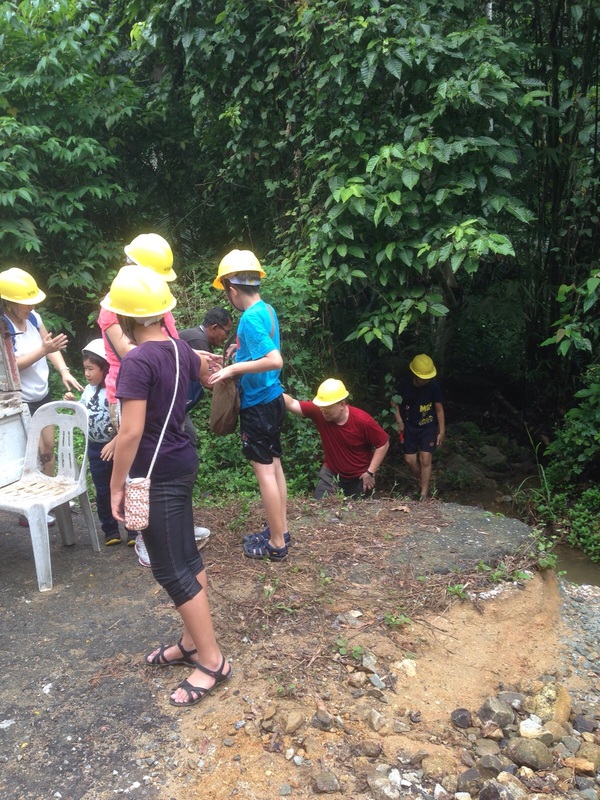 By 1892 the town had been surpassed by Ipoh in size, wealth and importance but mining activity continued in the area until the tin industry collapsed in the 1980s. 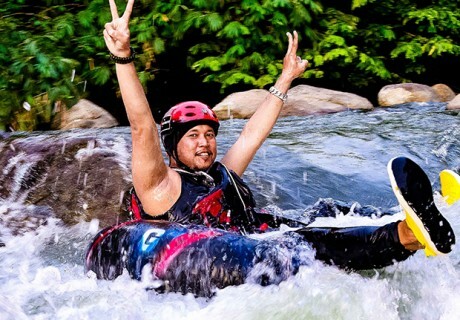 Having lost its reason for being, the town fell into decay and young people drifted away to look for work but in recent years Gopeng has tried to reinvent itself. 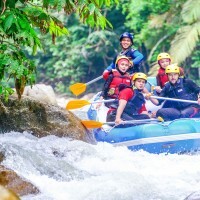 Now Gopeng already flourished with heritage, cuisine and ecotourism attractions developed by the locals themselves with white water rafting, river tubing, caving, jungle trekking, Rafflesia trekking and other outdoor activities all taking place nearby. 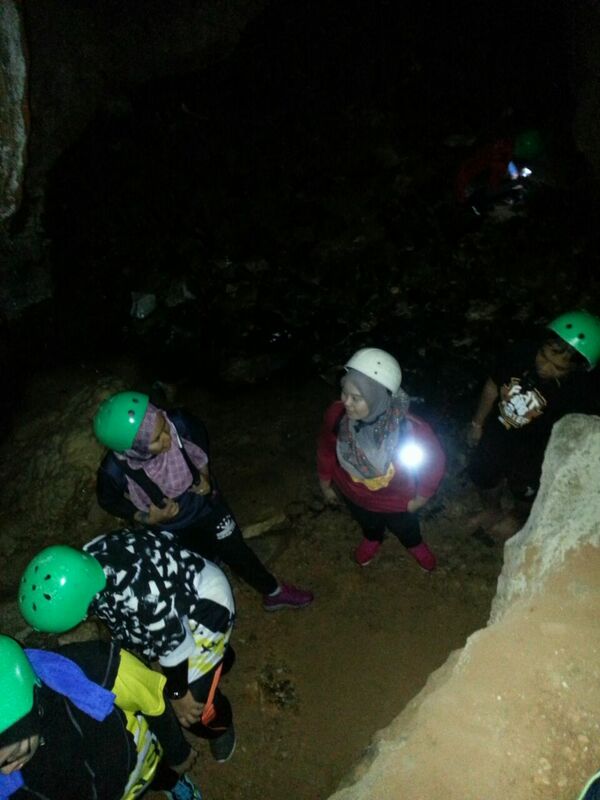 Gopeng is also well known for limestone caves such as Gua Tempurung, located approximately 5 km from the town center. 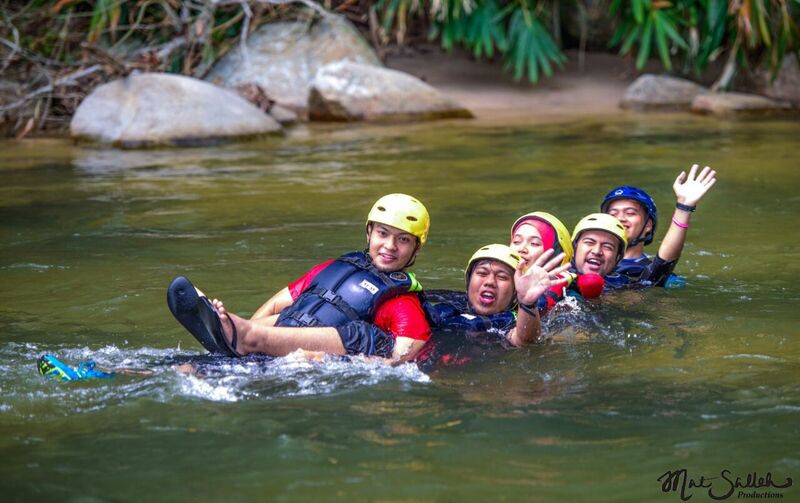 Surrounded by million aged limestone and rainforest, Gopeng is now becoming a favor destination among nature- adventure lover. 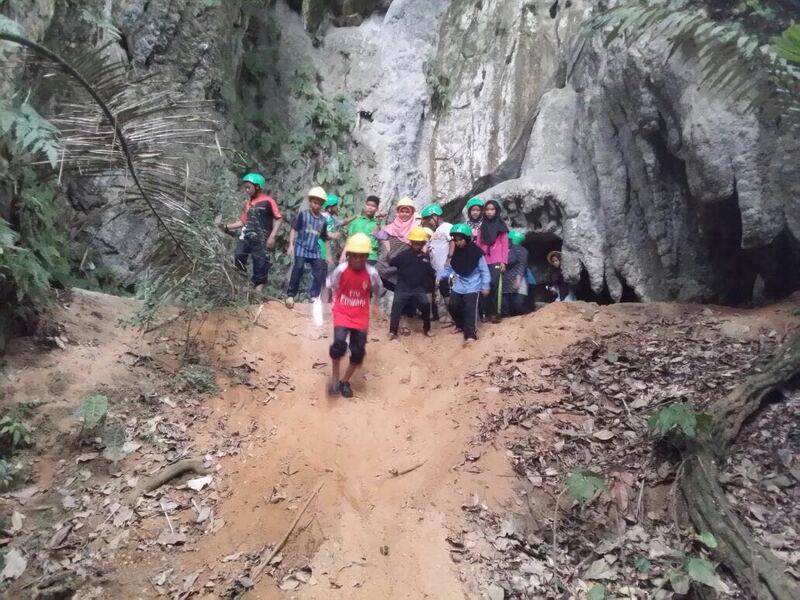 Everyone is familiar with Gua Tempurung in Perak, but little is known of its smaller sibling located nearby, which is Gua Anak Tempurung. 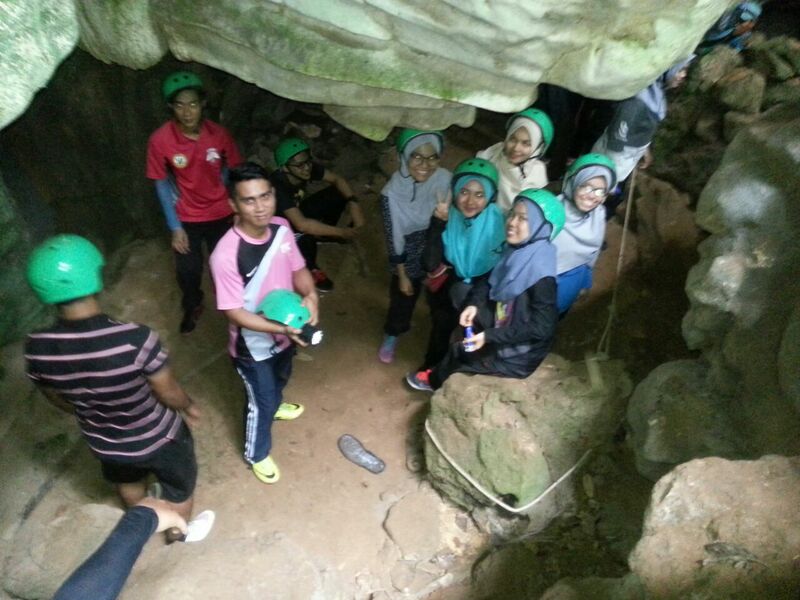 Gua Anak Tempurung is a cave located in the eastern face of Gunung Tempurung. 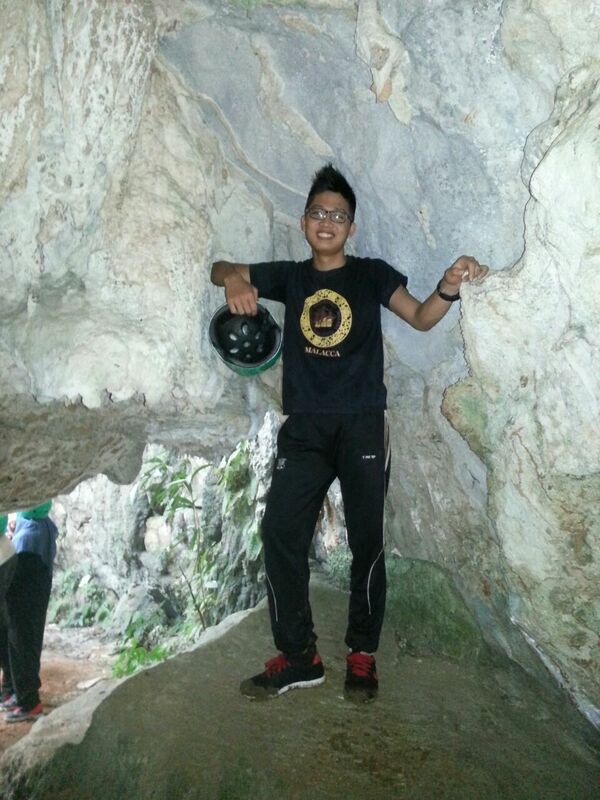 It is smaller than the famous Gua Tempurung, being less than 1km in length. 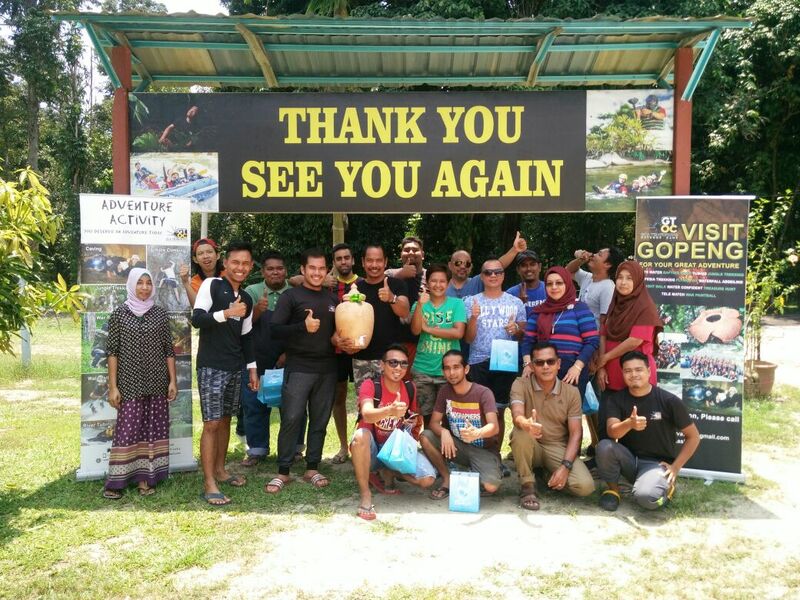 To get there, we will pass through into a dirt track just after Sungai Siput Selatan and drove to the eastern face of Gunung Tempurung. 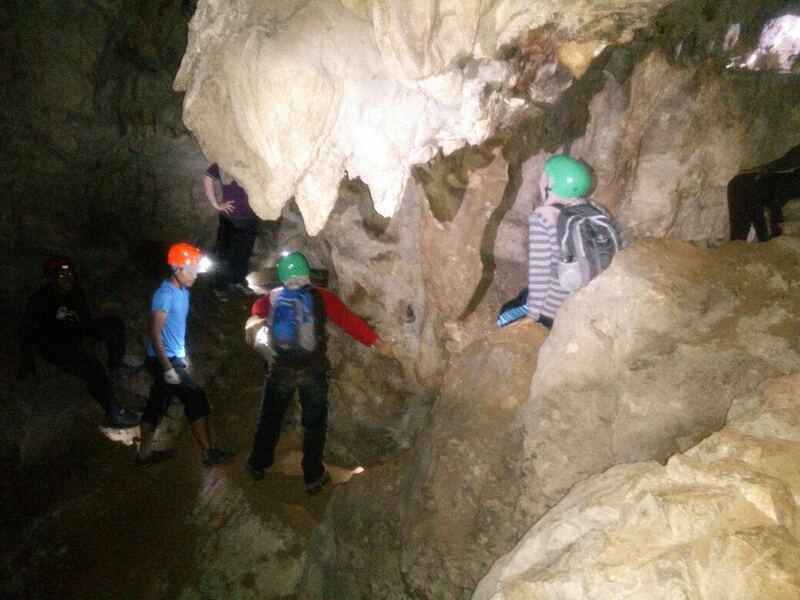 Despite its size of a mere length of 1km, no one can argue that this pristine cave offers beauty and charm. 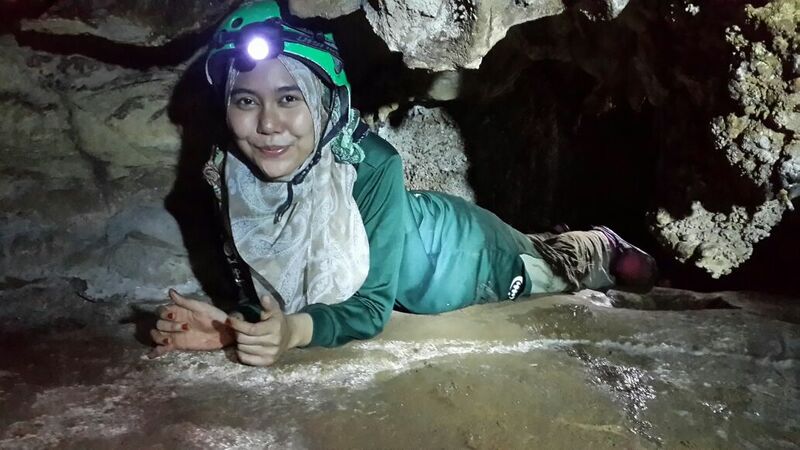 Gua Anak Tempurung, is a river cave with several entrance and has various levels of passages. Carved through time by water, you will be able to see glistening white marbles along the passages. 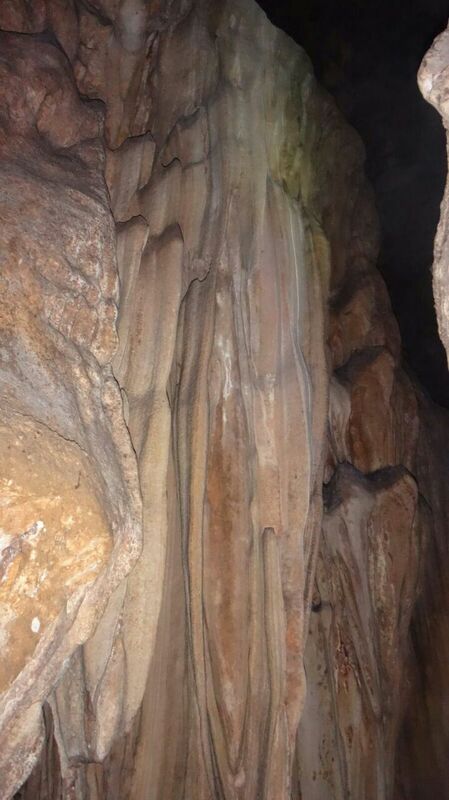 Majestic formations and sparkling calcite crystals can be seen along the single river passage. 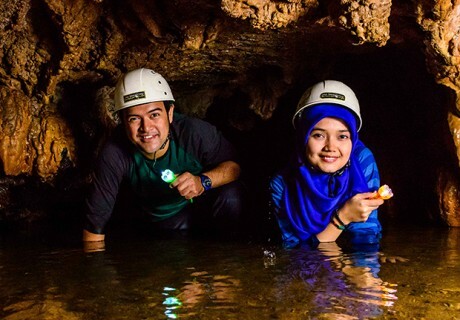 Inside the cave, you’ll be fascinated with interesting rock formations, stalagmites, stalactites and even patterns on the wall as you go from one chamber to another, while guided by the rangers. 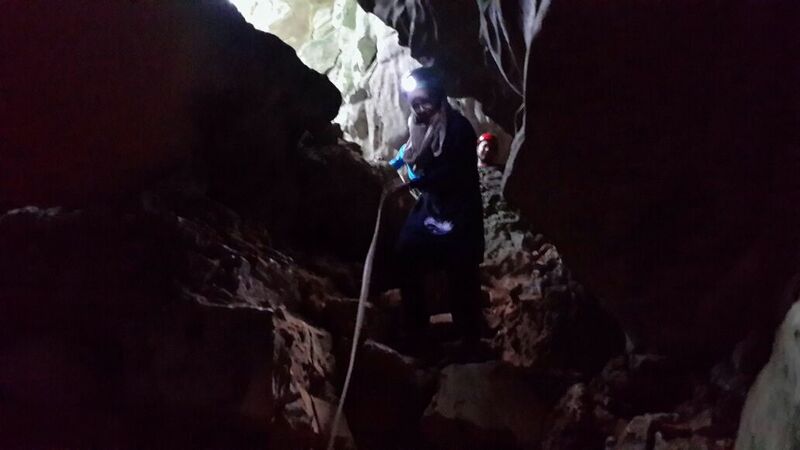 The caving activity will take about 1 hour to 2 hour to complete, depending on the number of participants joined. The stream in the cave is still quite clean despite the earthworks outside and a few species of fish live in these dark waters, including a white catfish. They are quite shy and could not be caught by hand for a closer look. 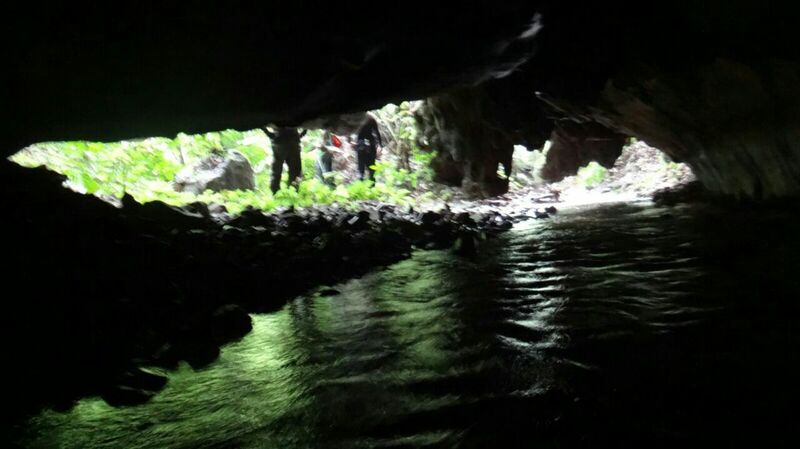 The stream has cut the cave along the eastern face of the hill and it emerges again a few hundred metres south of the entrance, with a larger opening. The stream continues its flow along the side of the hill and its waters may eventually merge with the stream in Gua Tempurung which is still further south. 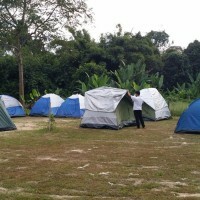 Laman Maisya (Maisya Camp) is located in Kampung Chulek, Gopeng, Perak. 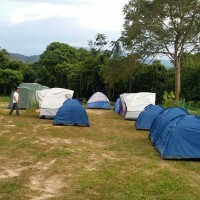 Located inside the village, the campsite covers an area of 1.5 acres and is suitable for team building and student camping activity. 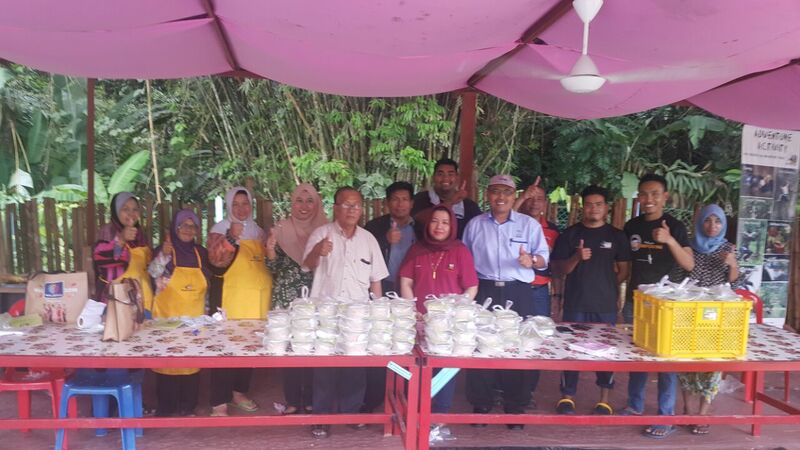 Set in a beautiful village of Gopeng, Perak, Laman Maisya is ideally located to explore the surrounding areas or to spend a few days relaxing, enjoying the spectacular jungle setting. 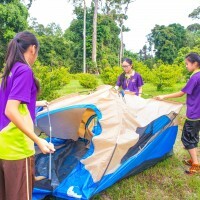 The campers or visitors can enjoy making their own choices from a variety of land, water and adventure activities, giving them the chance to have fun while developing new and exciting skills. 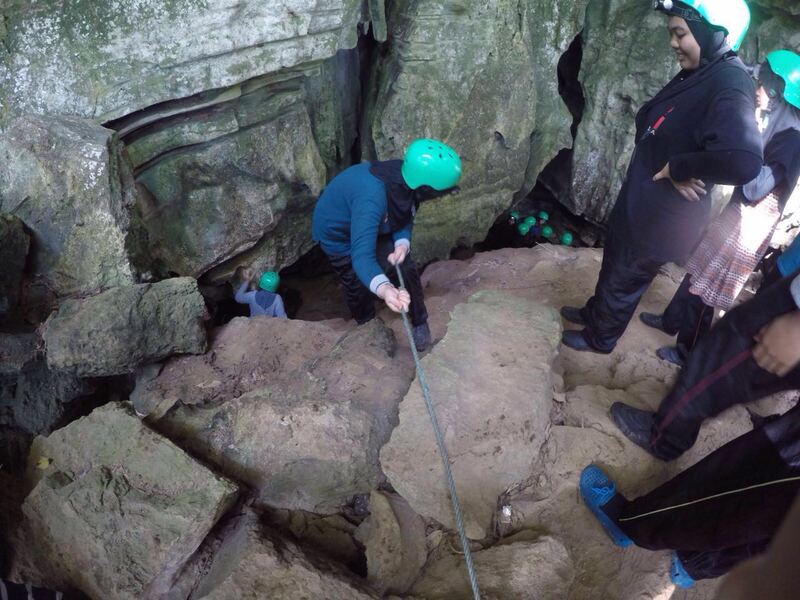 We offer a supportive environment where campers can challenge themselves and try many new activities. 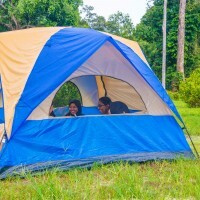 The newly built campsite is well maintained and offer various outdoor activities to choose than can keep the visitors entertained. 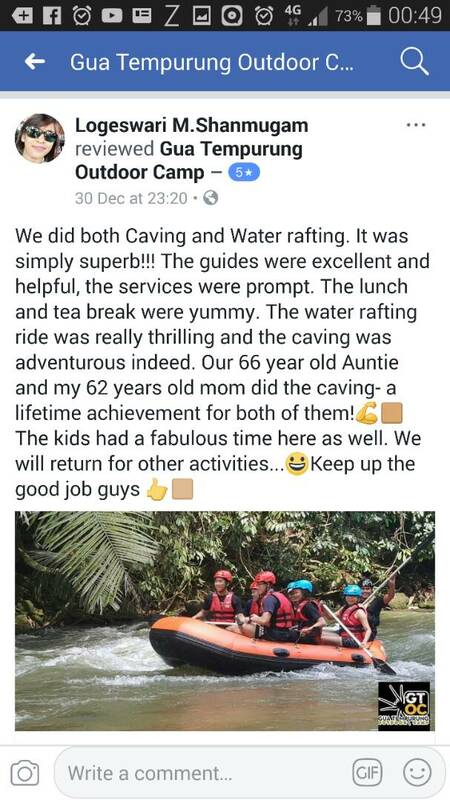 Some of the most popular activity organised are caving, white water rafting, river tubing, waterfall abseiling and many more. 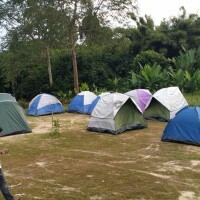 Laman Maisya also offer economical accommodation such as chalet and camping area with rental tents. 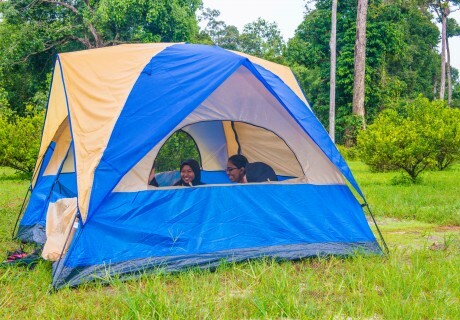 The campsite that located away from the hustle and bustle of the town and surrounded by trees, Laman Maisya offers a peaceful and beautiful place to relaxing your mind or to pitch your tent! 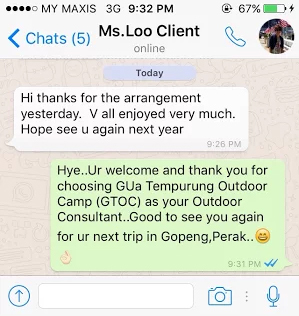 Terima kasih Gua Tempurung Outdoor Camp (GTOC). Semua peserta seronok dan suka dengan pengurusan. 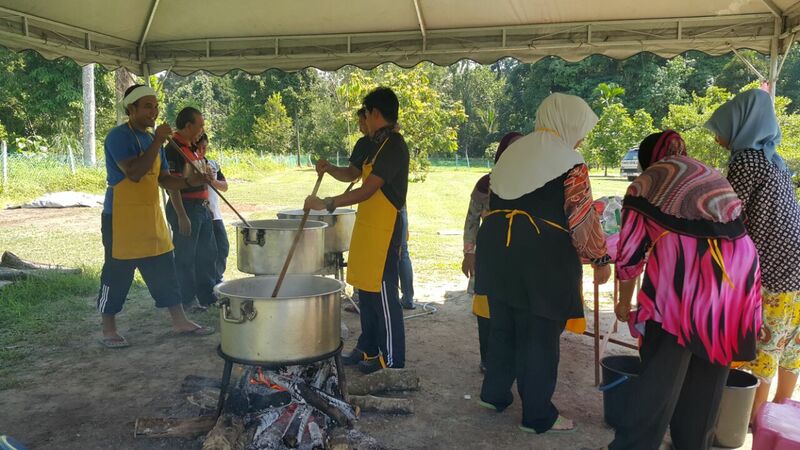 Makan pun sedap. In Shaa Allah ada rezeki kami rancang untuk aktiviti air pula. 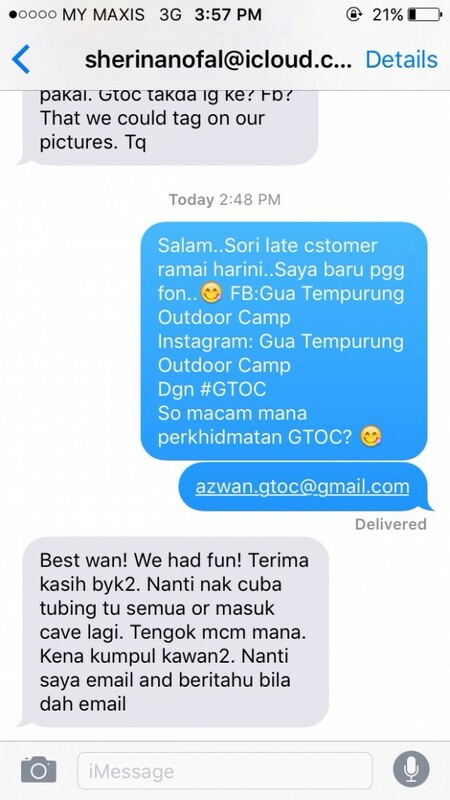 Perkhidmatan yang diberikan sangat tip top. Kami semua berpuas hati. 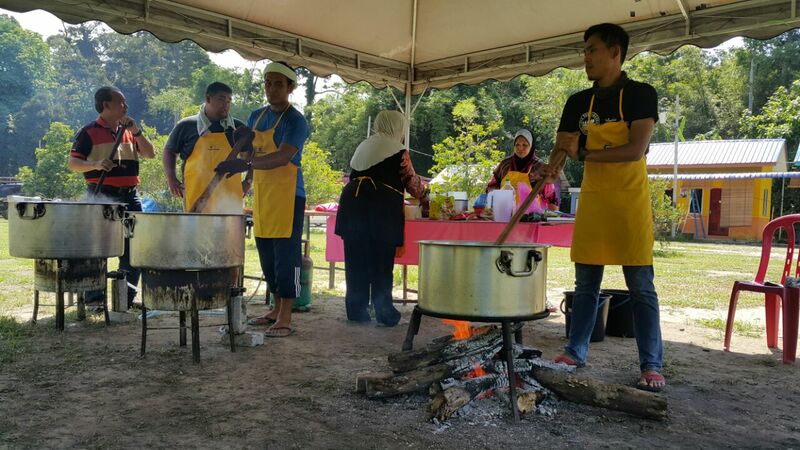 Terutama sekali makanan. 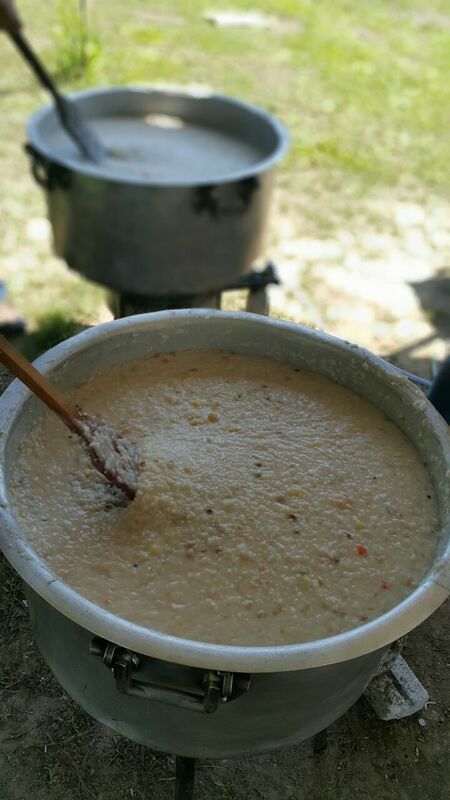 Sedap bakk hangg (Bahasa Utara). 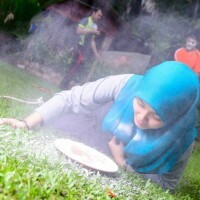 Banyak kali bertambah. 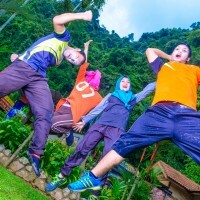 Manakala untuk penginapan sangat selesa. Sesuai dengan harga. Aktiviti syok. 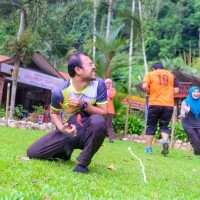 SANGAT BERPUAS HATI. 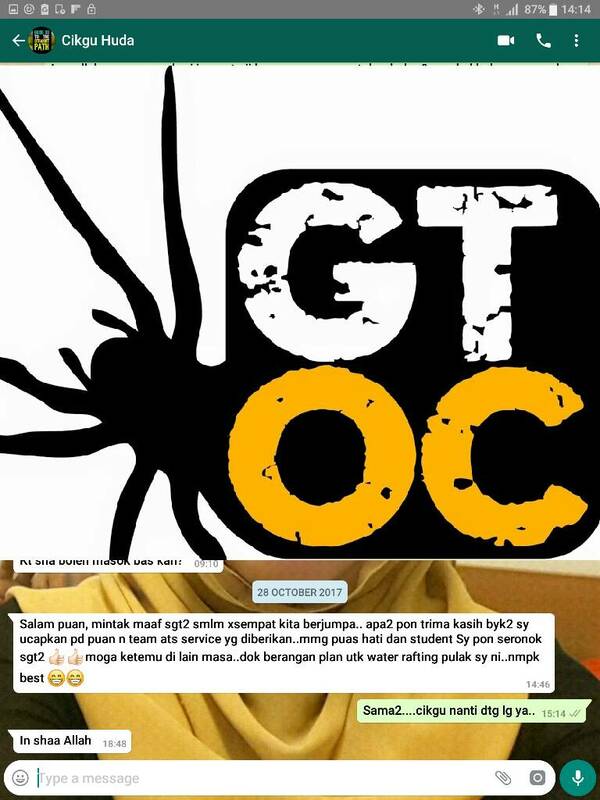 Setiap peserta aktiviti gua perlu mendengar dan memahami dengan teliti setiap penerangan yang disampaikan oleh jurupandu bagi mengelakkan sebarang kecederaan serius. 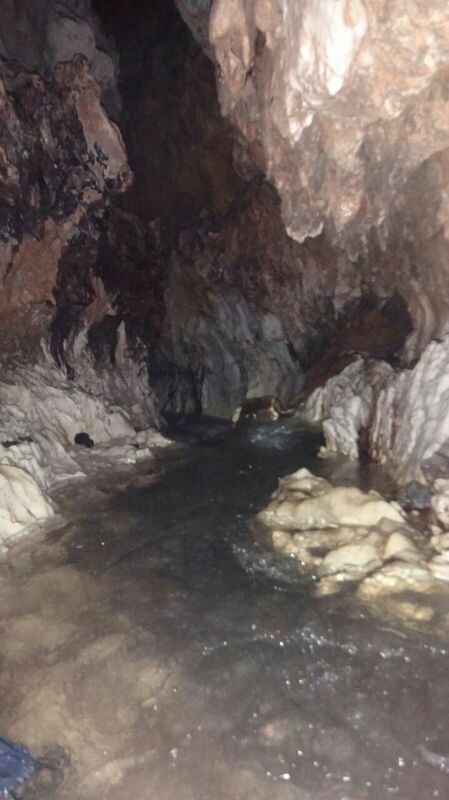 AKTIVITI atau meneroka gua (caving) merupakan satu daripada aktiviti lasak yang digemari golongan remaja hari ini. Aktiviti sihat ini dikatakan dapat membuka minda remaja dalam menghayati dan menghargai alam sekitar ciptaan tuhan. 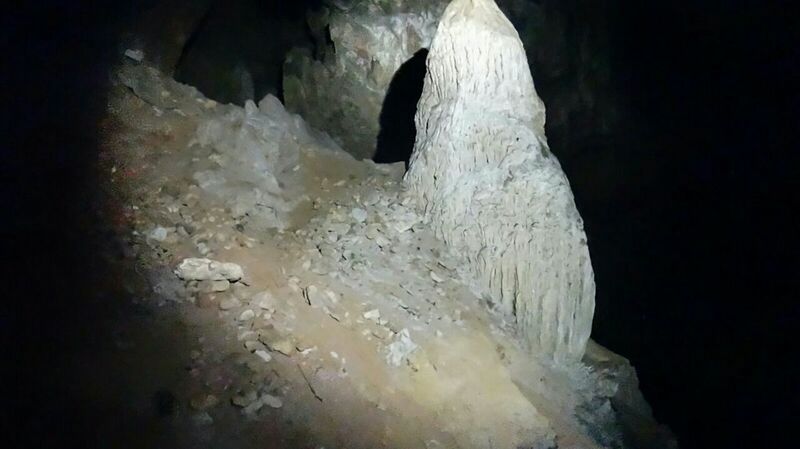 Keadaan dalam gua sering digambarkan sebagai sejuk, gelap, dipenuhi kelawar, selain informasi mengenai pembentukan stalagtit dan stalagmit yang berkilauan seperti kristal. Suasana itu secara tidak langsung mewujudkan perasaan teruja dan seronok kepada peserta sehingga ada di antara mereka terlupa ciri­ciri keselamatan yang perlu dipatuhi. 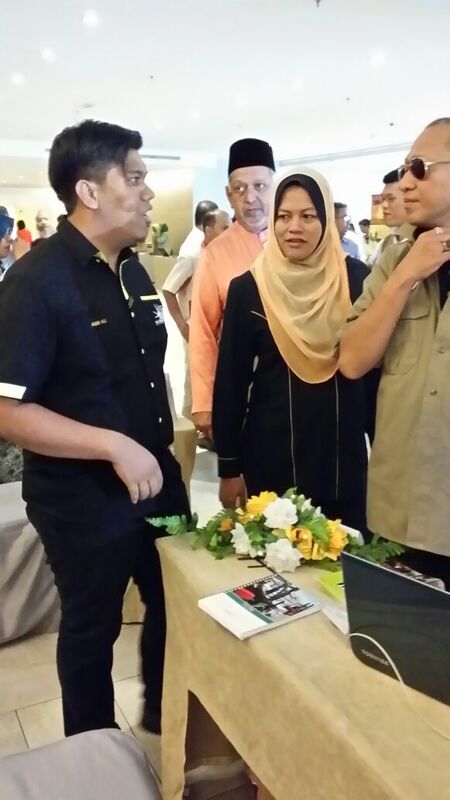 Seperti hutan, gua juga perlu diterokai secara berhati­hati bagi menjamin keselamatan, selain memelihara keadaan alam semula jadinya. 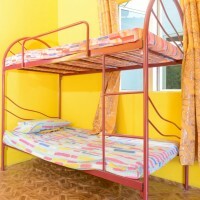 Ruangan .comY minggu ini akan mengupas isu keselamatan di dalam gua yang boleh dijadikan panduan oleh golongan remaja yang menggemari aktiviti meneroka gua. 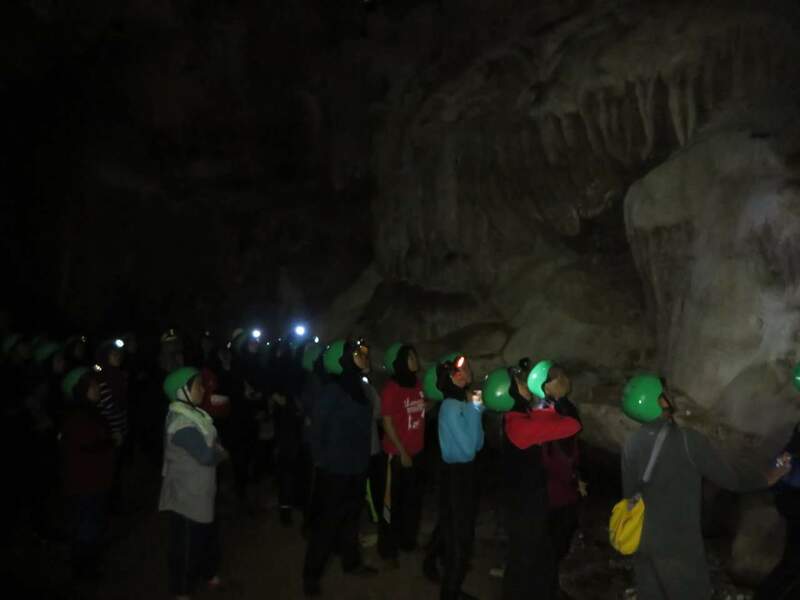 Tidak dilupakan, di sebalik isu keselamatan yang dihuraikan, juru pandu gua atau ‘cave guide’ merupakan medium terpenting dalam meneroka gua bagi menjamin semua aktiviti yang dilakukan berjalan lancar dan selamat. 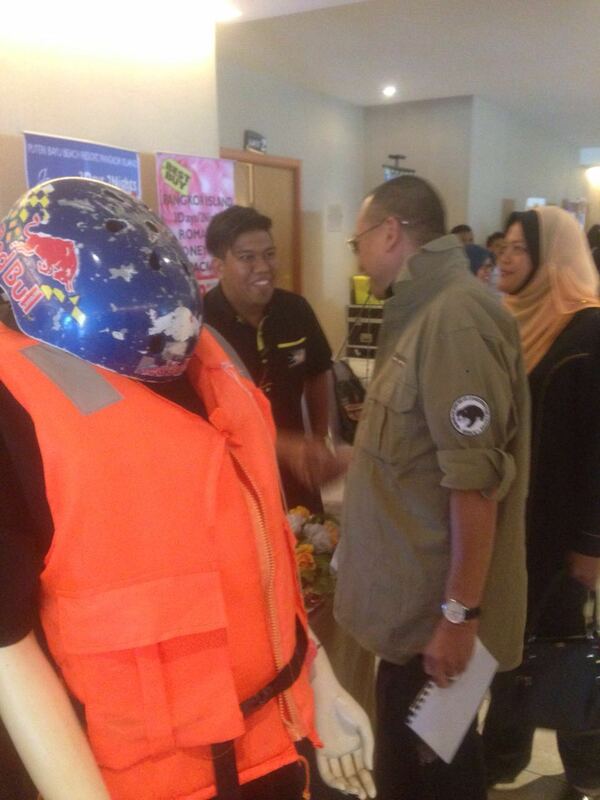 PEMAKAIAN baju, kasut dan seluar yang sesuai amat penting dan perlu dititik beratkan ketika memasuki gua kerana faktor tersebut boleh menjamin keselamatan dan mengelak kecederaan parah. Kebanyakan peserta meneroka gua mengalami kecederaan seperti tergelincir dan terjatuh akibat pemakaian kasut yang tidak sesuai, lebih­lebih lagi ketika memasuki laluan gua yang berair dan licin. Sebelum memasuki gua, adalah penting untuk setiap individu atau kumpulan mengetahui keadaan gua yang ingin diteroka seperti situasi di dalam gua, panjang laluan yang ditempuh, dan risiko sewaktu berlaku kecemasan. Aktiviti gua bukannya berjalan di dalam gua semata­mata. 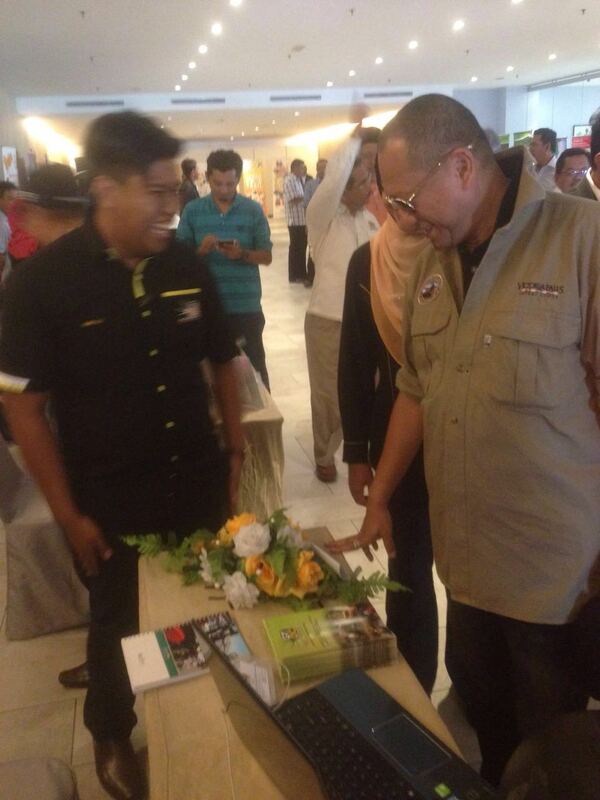 Ini kerana aktiviti itu lebih kepada penghayatan dan menghargai nilai keunikan alam semula jadi yang terdapat di dalam sesebuah gua itu. 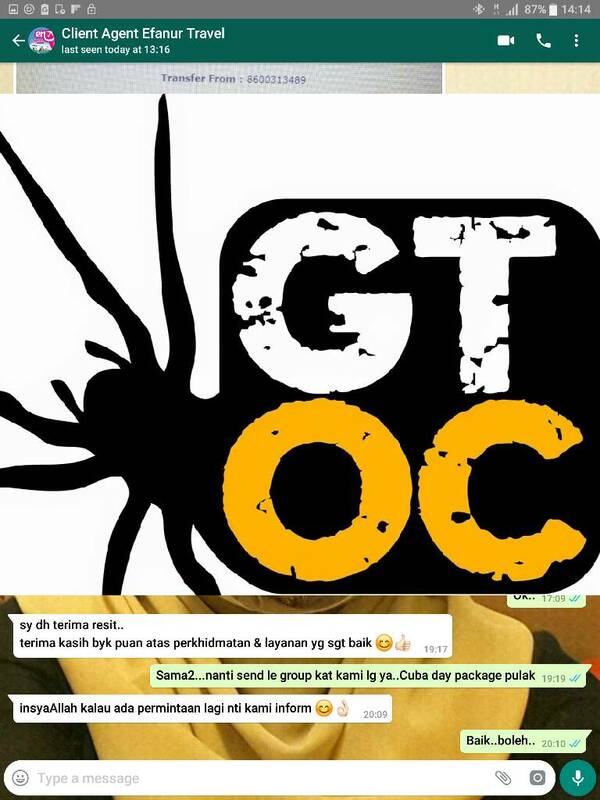 Tidak mengapa jika tidak mahir atau pakar dalam aktiviti gua, asalkan anda mempunyai sedikit pengetahuan mengenai gua yang ingin diterokai. Kebanyakan peserta meneroka gua hanya bergantung kepada jurupandu gua semata­mata dan perkara itu disifatkan kurang bijak sekiranya berlaku apa­apa kecemasan, menyebabkan mereka tidak tahu nak buat apa. 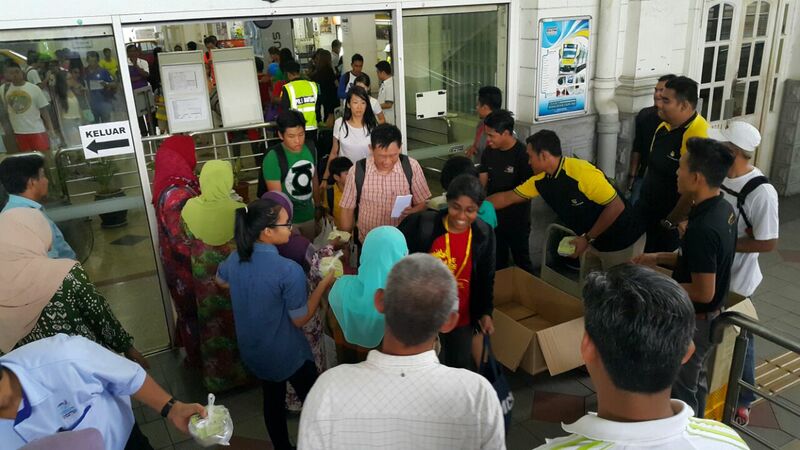 Skop keselamatan dalam gua dilakukan mengikut jumlah peserta dan siapa mereka bagi memastikan penerokaan gua lancar dan selamat. Sebagai contoh, jika jumlah peserta dalam kumpulan yang besar, masa meneroka akan berlanjutan sehingga beberapa jam daripada masa jangkaan dan sebaliknya. Peserta yang terdiri daripada lelaki dan perempuan juga memainkan peranan ketika melakukan aktiviti gua kerana peserta lelaki bergerak lebih cepat berbanding dengan perempuan dan kesemua aspek itu perlu diteliti dan dilihat rapi untuk mengatur skop keselamatan yang efektif. Apabila berlaku kecederaan di dalam gua, jurupandu gua akan melihat jenis kecederaan yang dialami, jika melibatkan dari aras pinggang hingga kaki, keadaan boleh dikawal, namun jika melibatkan cedera di kepala, keadaan itu adalah serius dan kritikal. 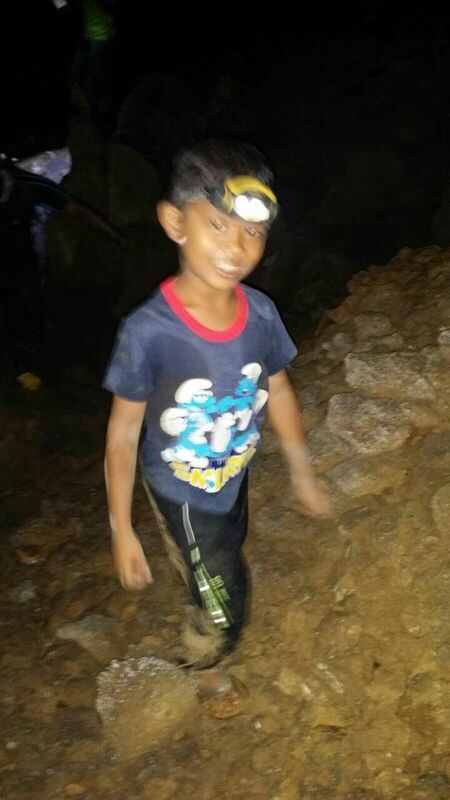 Pemakaian peralatan keselamatan seperti ‘head lamp’ atau lampu suluh kepala dan topi keledar juga penting kerana keadaan gelap dan berbatu di dalam gua. Bagi mereka yang tidak biasa masuk ke gua,keadaan sedemikian adalah berbahaya dan berupaya mendatangkan kecederaan serius. Setiap peserta meneroka gua juga disarankan untuk mendengar dengan teliti setiap penerangan yang diberikan oleh jurupandu arah bagi memastikan mereka tidak terkeluar dari laluan asal ketika di dalam gua, selain jangan terlalu berani untuk bertindak sendiri. MELAKUKAN aktiviti lasak dengan kaedah atau cara yang tidak betul hanya akan mengundang kecederaan,sekali gus membahayakan pihak lain jika bergerak dalam satu kumpulan. Bagi melakukan sesuatu aktiviti lasak, setiap remaja digalakkan bersenam dan bergerak aktif bagi menyediakan badan dan otot untuk membuat pergerakan yang ekstrem terutamanya ketika memanjat dalam gua. 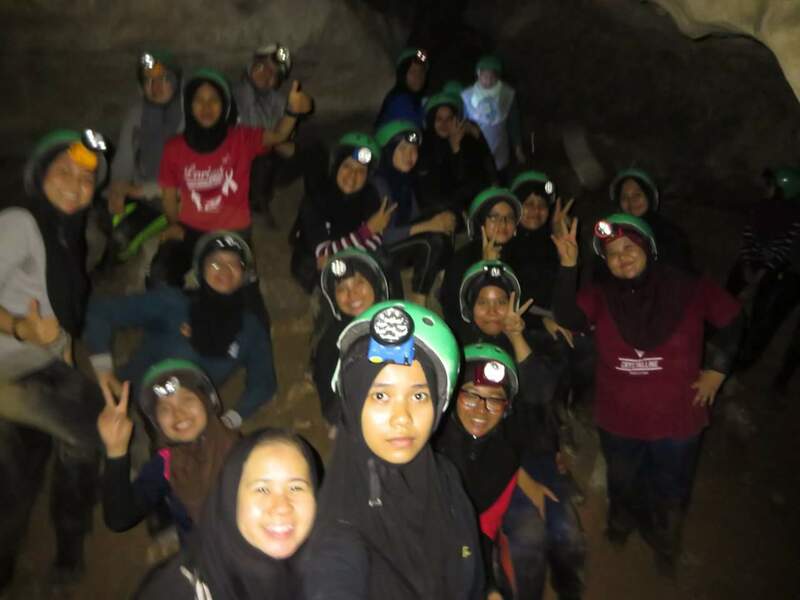 “Jangan terlalu memanjakan diri jika ingin melakukan aktiviti caving kerana apabila badan anda tidak bersedia melakukan pergerakan lasak, ia boleh menyebabkan kecederaan. 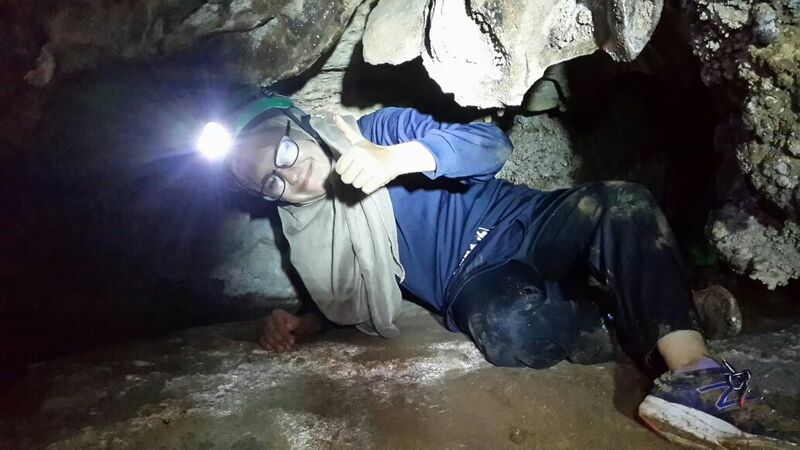 “Antara kecederaan atau masalah yang sering dihadapi peserta ketika melakukan caving termasuk kaki kejang kerana pergerakan dalam gua yang banyak menggunakan kaki. 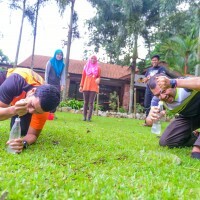 Gaya pemakanan juga memainkan peranan sebelum peserta melakukan aktiviti gua kerana jika makan makanan berat sebelum masuk gua, kemungkinan peserta akan berasa cepat letih dan muntah akibat perut penuh. KEINDAHAN dan keunikan gua akan lebih dihayati jika dapat melakukan aktiviti gua dengan cara yang selamat dan tenang. 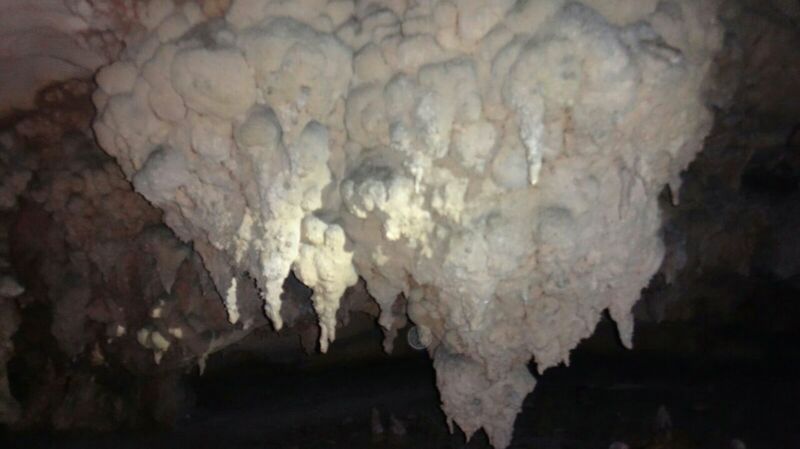 Penerangan yang jelas oleh jurupandu gua berserta maklumat mengenai keadaan di dalamnya termasuk pembentukan stalagmit dan stalagtit menjadi panduan untuk golongan pelajar khususnya menghayati keindahan gua. “Saya rasa puas hati dengan penerangan yang disampaikan oleh jurupandu arah mengenai soal keselamatan, selain pelbagai informasi tentang keadaan dalam gua. 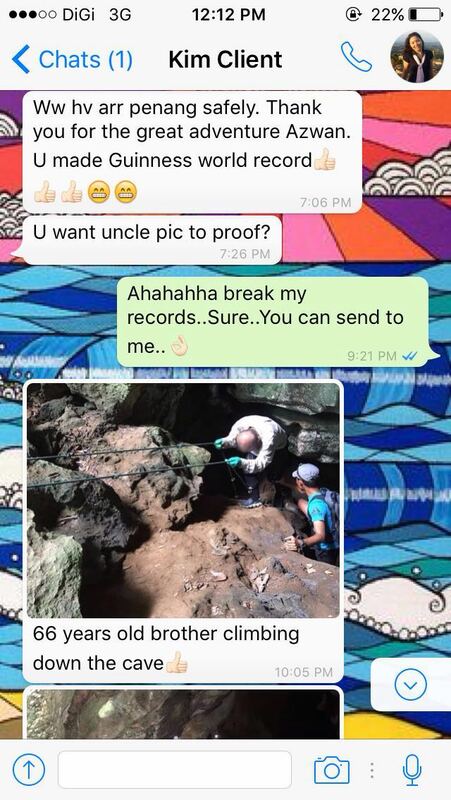 “Sebagai pelajar, informasi berguna seperti ini amat penting, terutamanya dalam meningkatkan kesedaran mengenai pemeliharaan alam semula jadi yang tinggi nilainya. 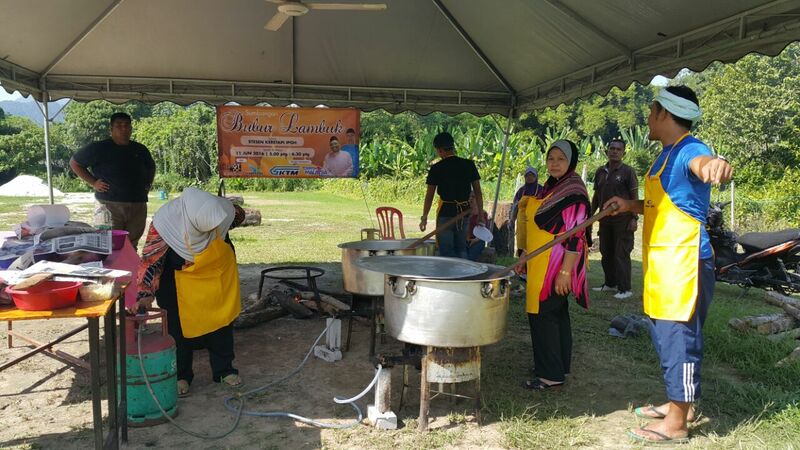 Teknik keselamatan yang diterangkan boleh digunakan sebagai panduan dalam melakukan aktiviti gua pada masa akan datang. 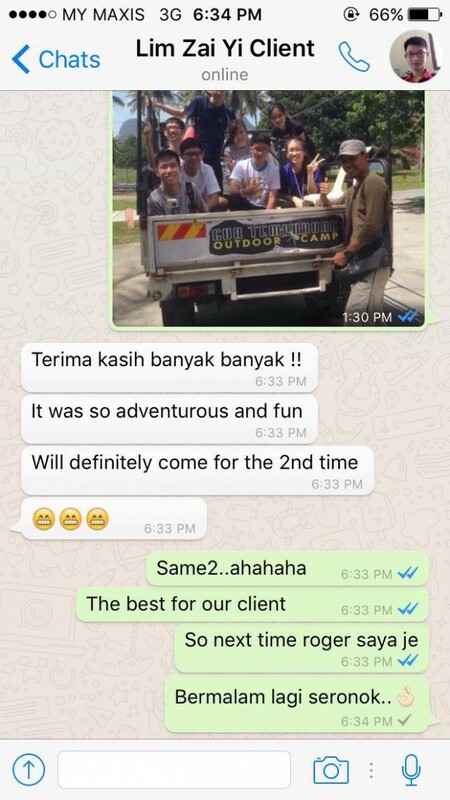 PENGALAMAN pertama kali memasuki gua pasti mengujakan sesiapa sahaja yang gemar melakukan aktiviti lasak. Suasana yang sejuk, gelap dan berbatu dalam gua menimbulkan perasaan yang sukar digambarkan, sekali gus mengagumi ciptaan tuhan yang maha esa. 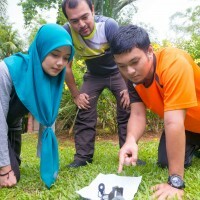 Memahami teknikteknik keselamatan dan penerangan yang disampaikan oleh jurupandu gua adalah amat penting bagi memastikan aktiviti yang dilakukan berjalan lancar. Jangan sesekali abaikan atau tunjuk pandai dengan melakukan tindakan sendiri tanpa pengawasan pihak berpengalaman. 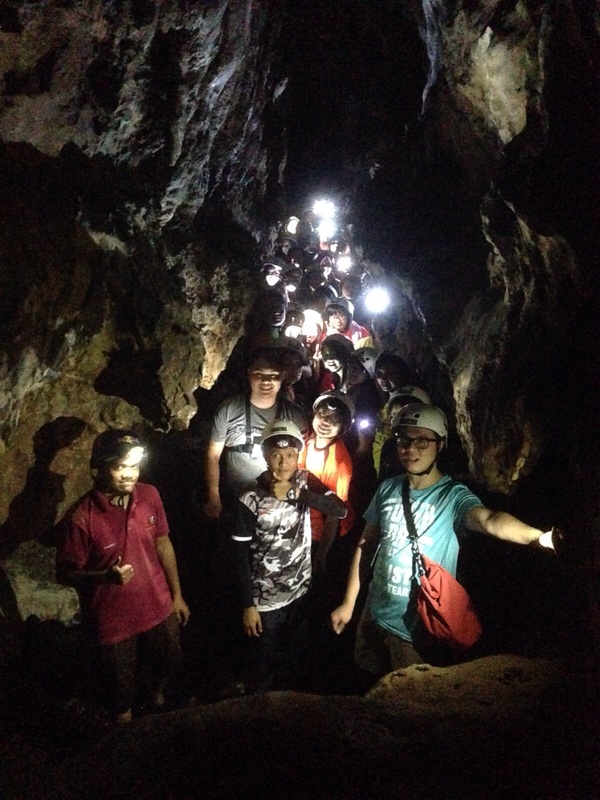 “Suasana yang gelap dalam gua secara tidak langsung akan membuat peserta takut untuk bergerak secara bebas biarpun ada bantuan head lamp. “Sehubungan itu, adalah penting untuk mendengar dan memahami semua penerangan yang disampaikan oleh jurupandu arah termasuk memahami demonstrasi keselamatan yang ditunjukkan. 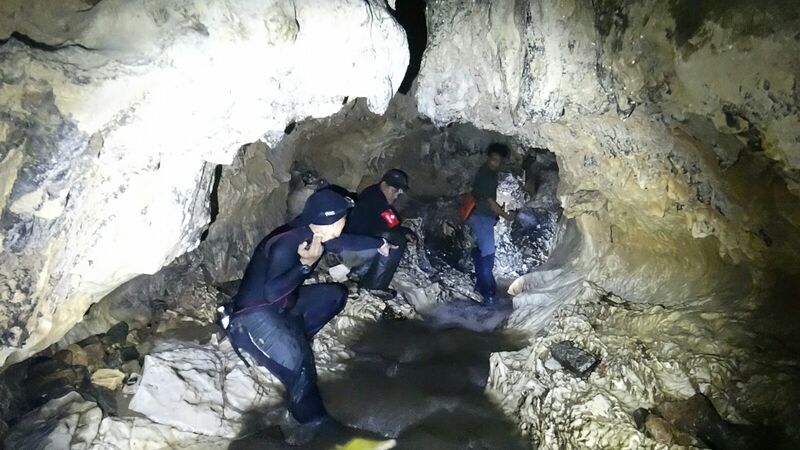 AKTIVITI lasak seperti caving boleh menyerlahkan personaliti remaja apabila mereka dapat mengenal pasti kelemahan dan kelebihan diri terutamanya ketika berdepan dengan situasi cemas atau gelap. 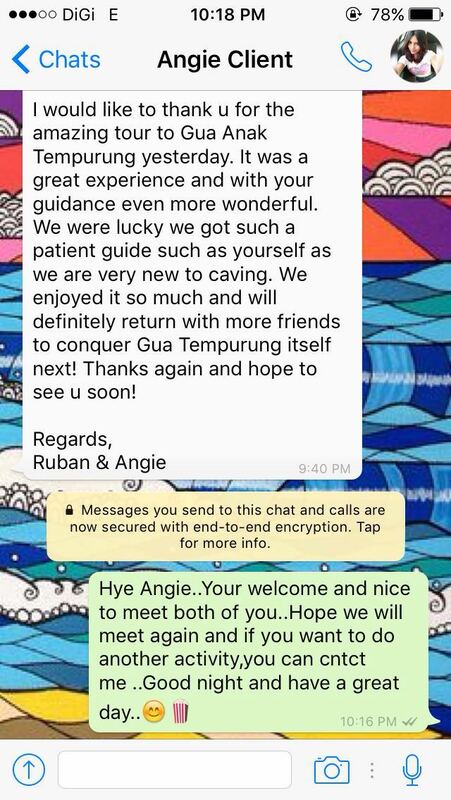 Pertama kali menjejakkan kaki ke dalam gua tidak menghalang diri untuk menikmati keindahan dan keunikan Gua Anak tempurung yang baru tiga bulan diterokai, malah menjadikan diri lebih berkeyakinan terutamanya dalam membuat keputusan. 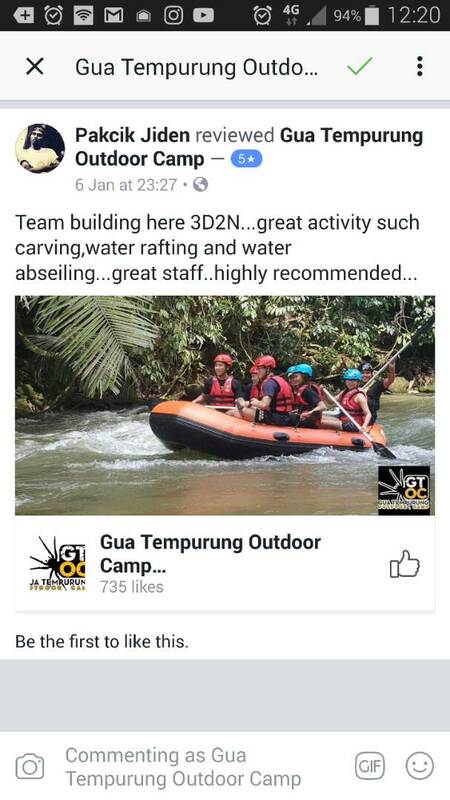 “Setelah melakukan aktiviti gua, saya sedari yang saya lebih sukakan aktiviti lasak berbanding aktiviti lain. Pengalaman masuk gua sangat menyeronokkan, ditambah lagi dengan penerangan jelas oleh jurupandu gua mengenai sejarah gua yang saya jelajah. © 2016 GTOC.ASIA. All Rights Reserved. 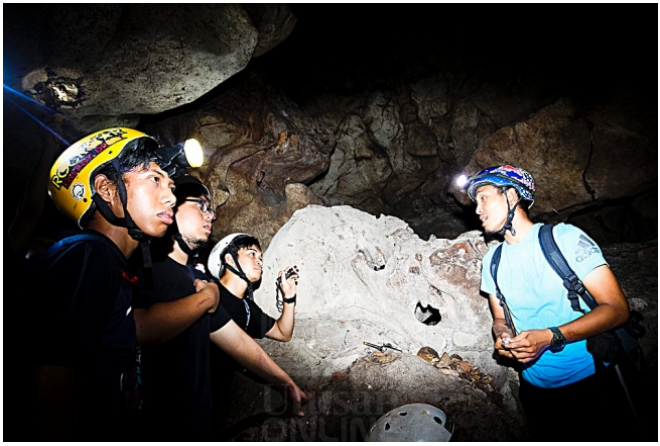 Gua Anak Tempurung is a cave located in the eastern face of Gunung Tempurung. 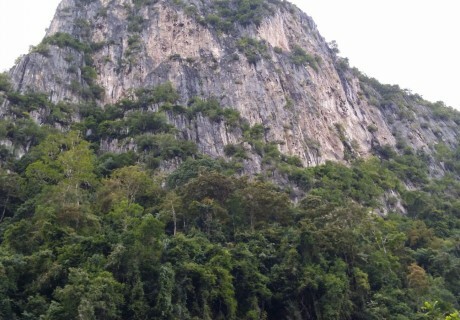 It is smaller than the famous Gua Tempurung, being less than 1km in length. 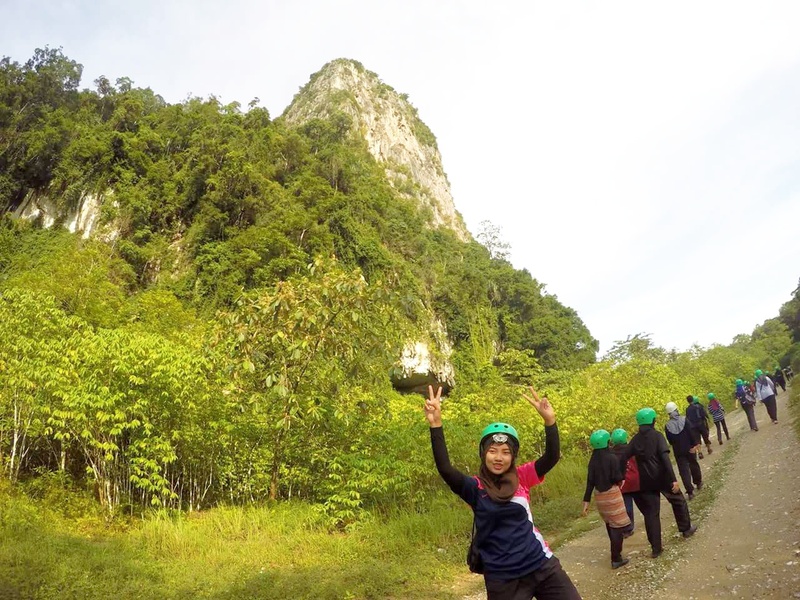 To get there, we will pass through into a dirt track just after Sungai Siput Selatan and drove to the eastern face of Gunung Tempurung. 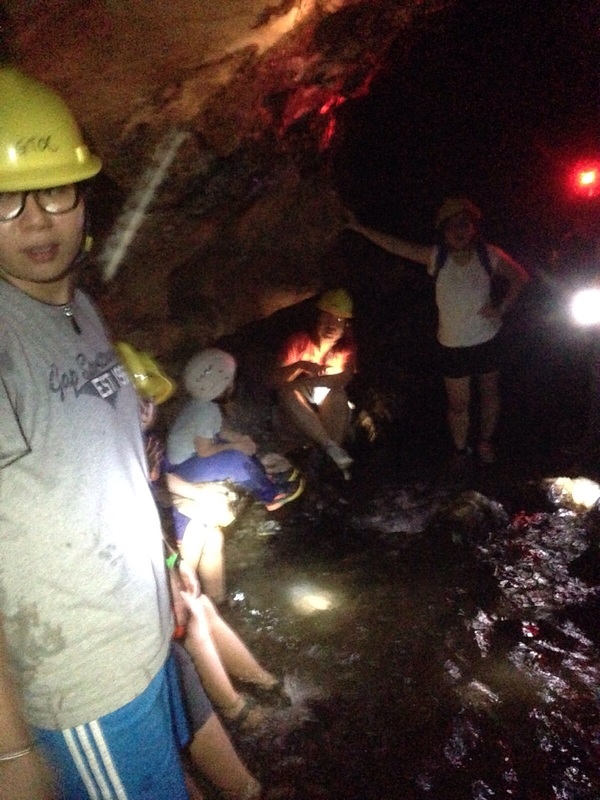 The stream in the cave is still quite clean despite the earthworks outside and a few species of fish live in these dark waters, including a white catfish. They are quite shy and could not be caught by hand for a closer look. 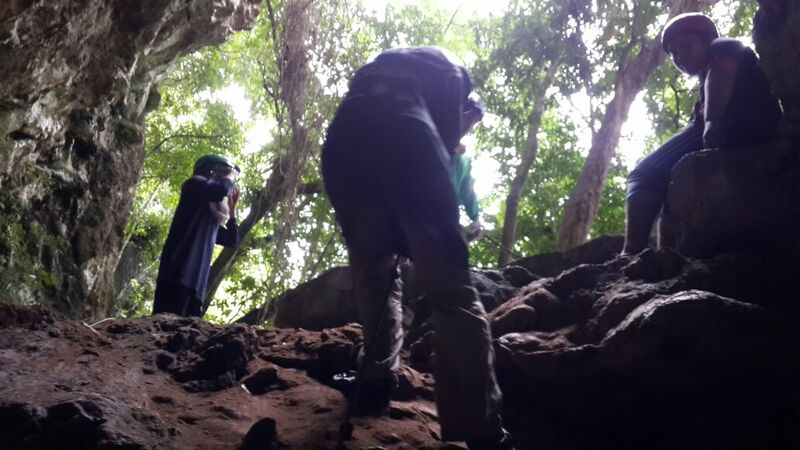 The stream has cut the cave along the eastern face of the hill and it emerges again a few hundred meters south of the entrance, with a larger opening. The stream continues its flow along the side of the hill and its waters may eventually merge with the stream in Gua Tempurung which is still further south. 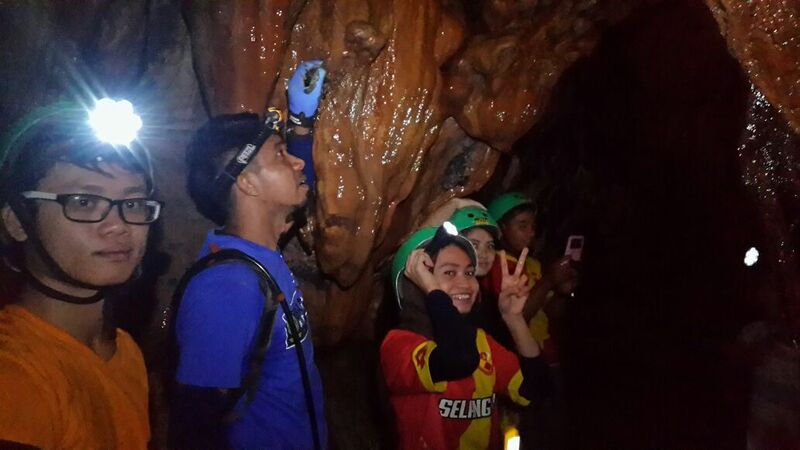 An easy and exciting tour for about 40 minutes to 1 hour with Cave Ranger. 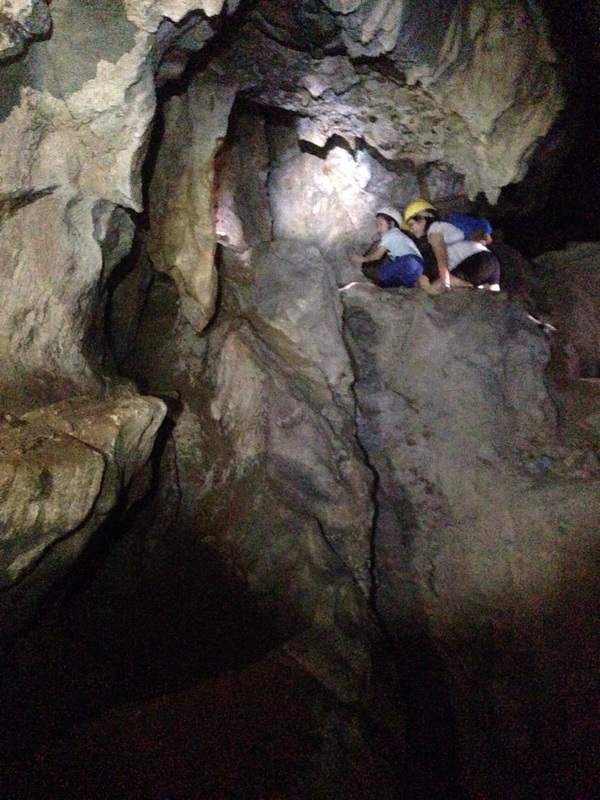 A slightly adventurous tour for about 1 hours 30 minutes to 2 hours with Cave Ranger. 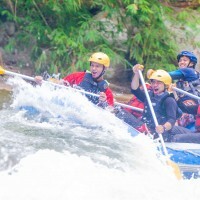 Want some excitement on your tubing trip? 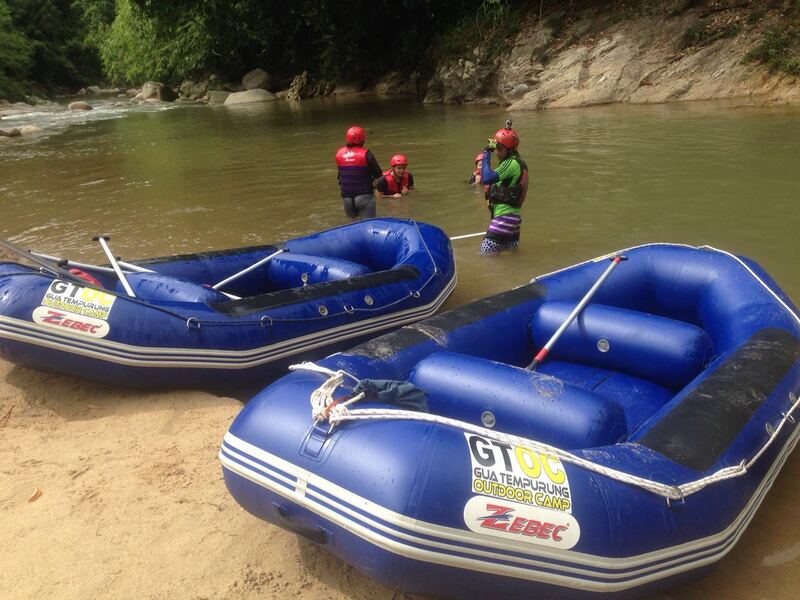 River tubing is our most popular river activity and for good reason. 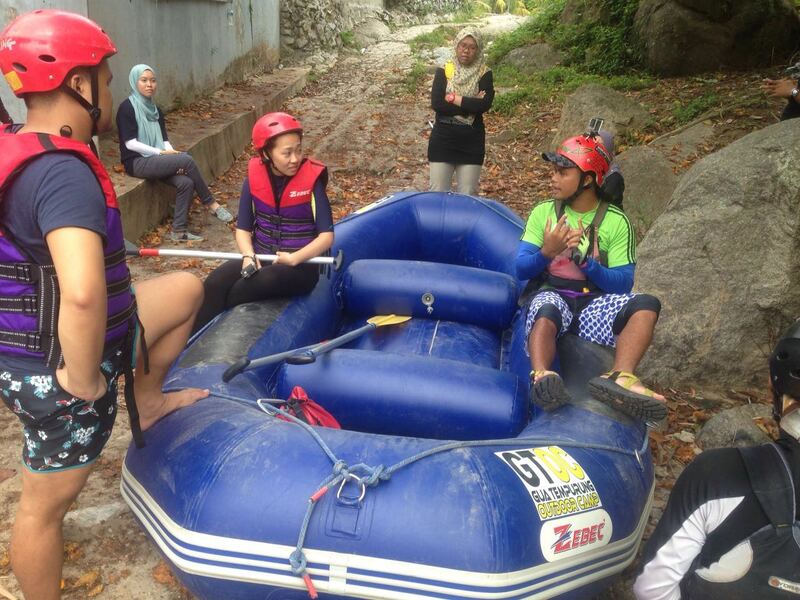 As a standard procedure, short safety briefing will be conducted by the guides before proceed with the river tubing activity. 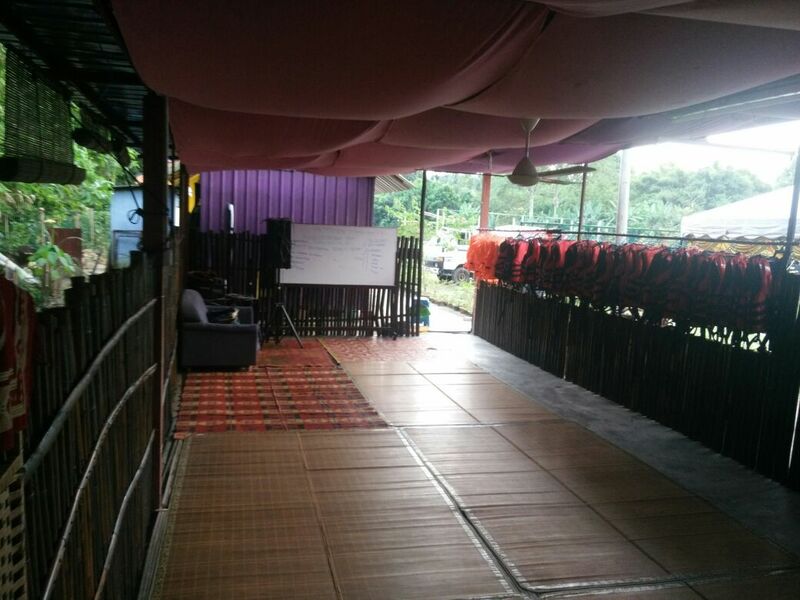 The starting point is located at Kampar River. 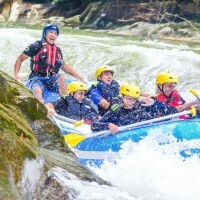 During the activity, you will get splash through fun rapids & relax on slow areas while tubing on the scenic Kampar River! 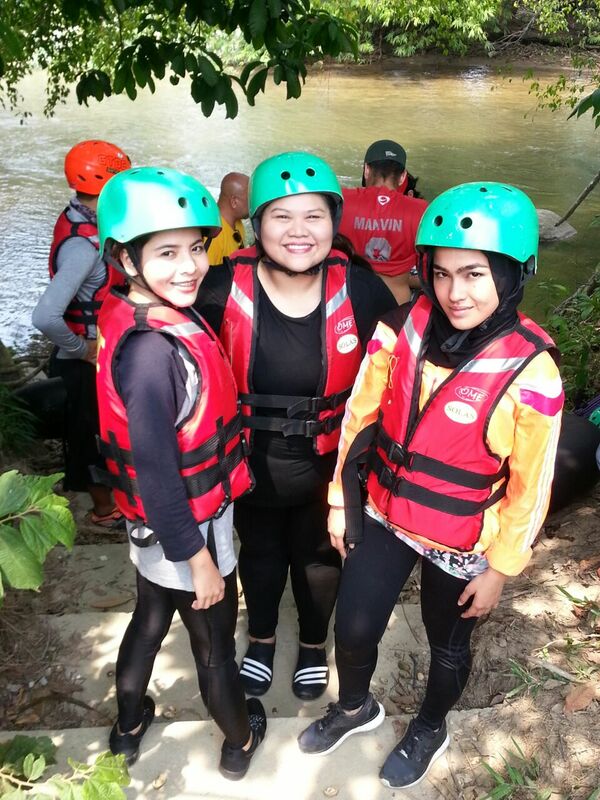 White water raft through 12KM of Kampar River with 14 rapids graded easy to difficult. 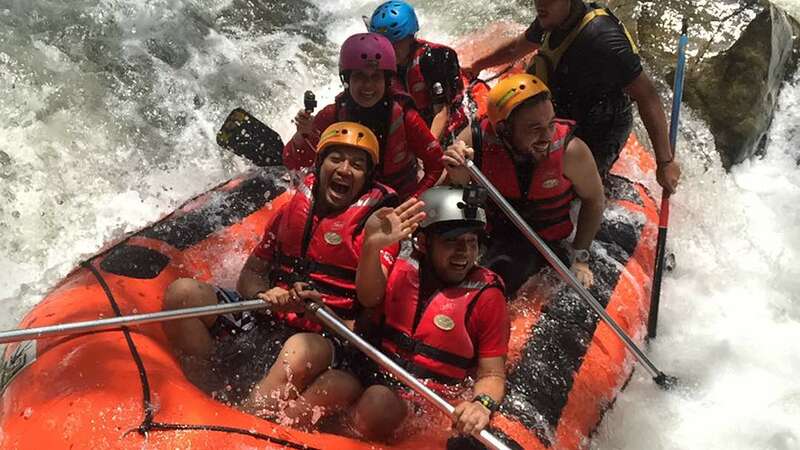 The clear water of Kampar River (Class I-III) is suitable for anyone who is physically fit and those who crave for mild technical adventure whilst safely enjoy a rafting trip. 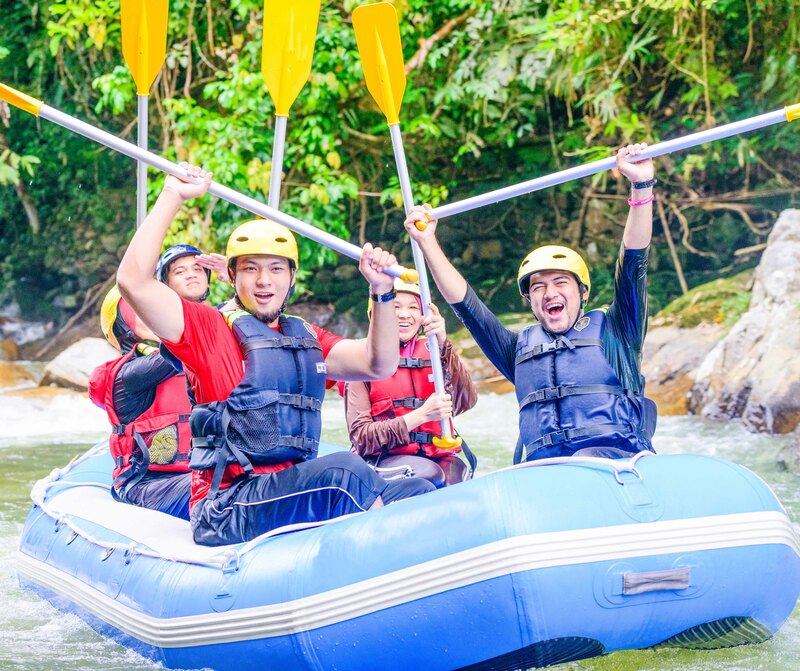 On the river, you will have the thrills of tackling exciting rapids and floating down the clear water river amids a lush rain-forest. 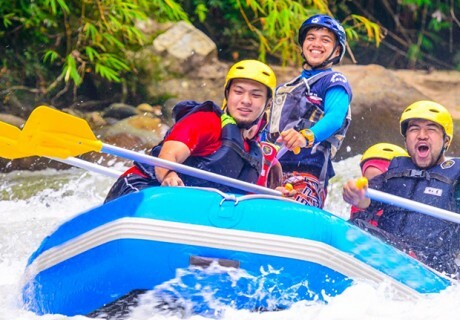 You will ride the continuous rapids graded from class I-III, and continue down river, passing by some old tin mining plains. 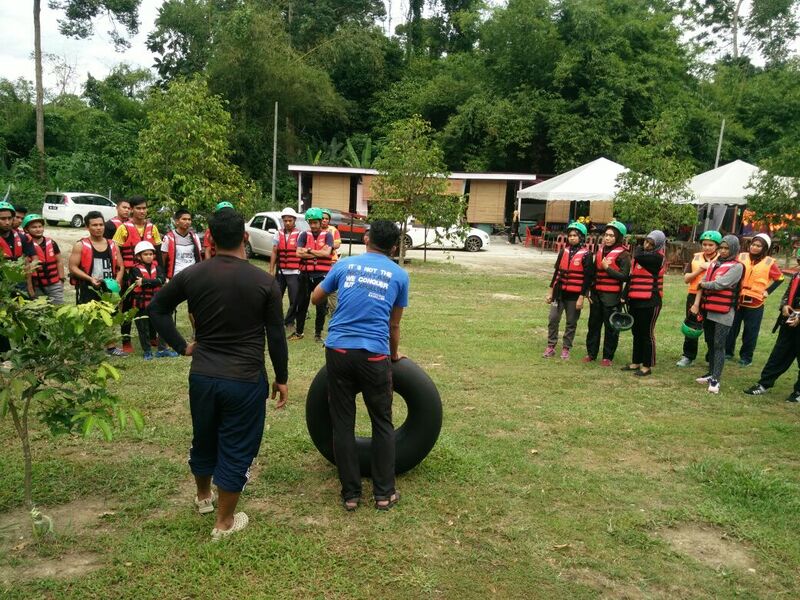 Safety briefing will be given by the guide before proceed with the activity which covers the paddling commands, paddling skills, capsize drills, actions when overboard or river rescue. 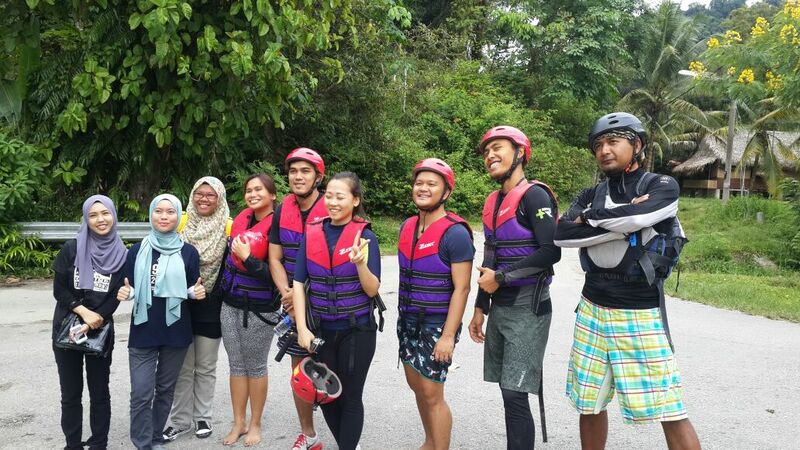 After the briefing by the professional river guide, you are now ready for a river rafting adventure. 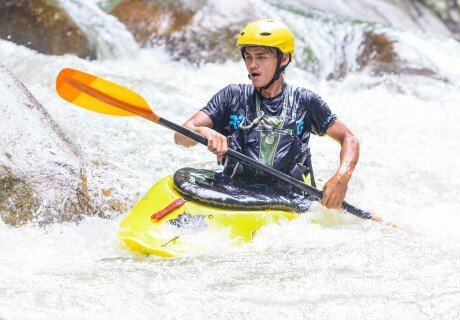 So let’s test out your river skills! 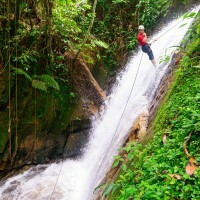 Gopeng has everything you need to make your abseiling adventure at the Ulu Geruntum Waterfall an enjoyable experience. 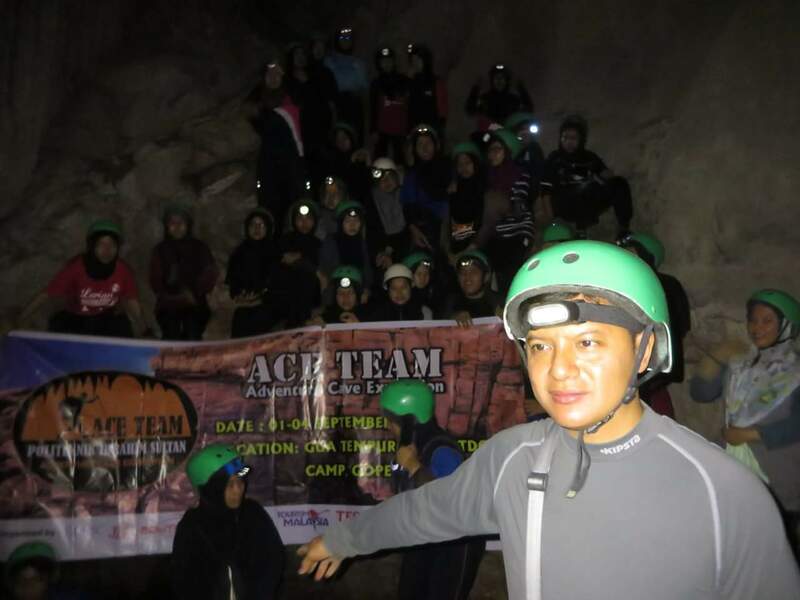 Your activity day starts with meeting up at Gua Tempurung, and then you will be transferred to Ulu Geruntum, where the activity will be conducted. 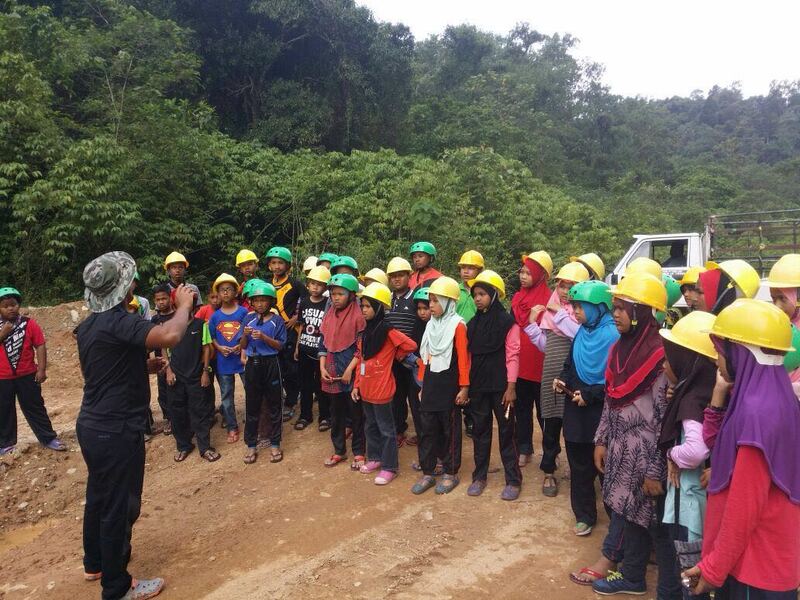 Before proceed with the activity, short safety briefing will be conducted by the guides. 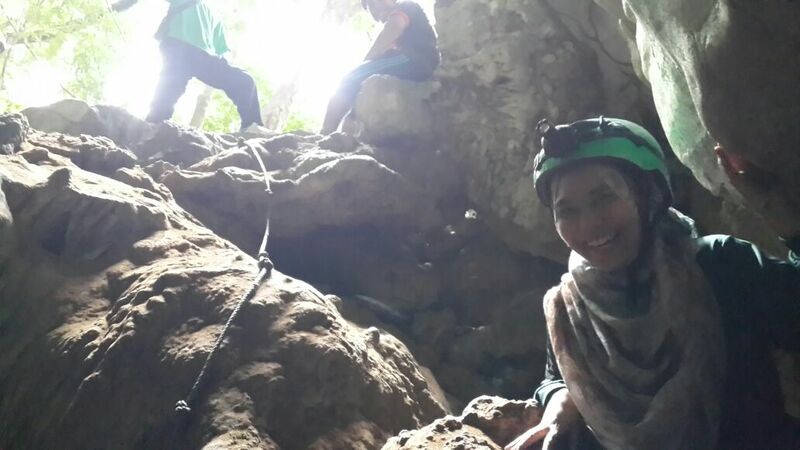 The abseiling point is just 5minutes trekking from the safety briefing area. 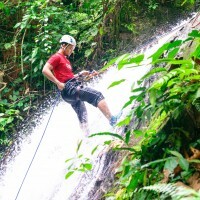 During the activity, you will abseiling down the rock face with water splashing thru all parts of your body! 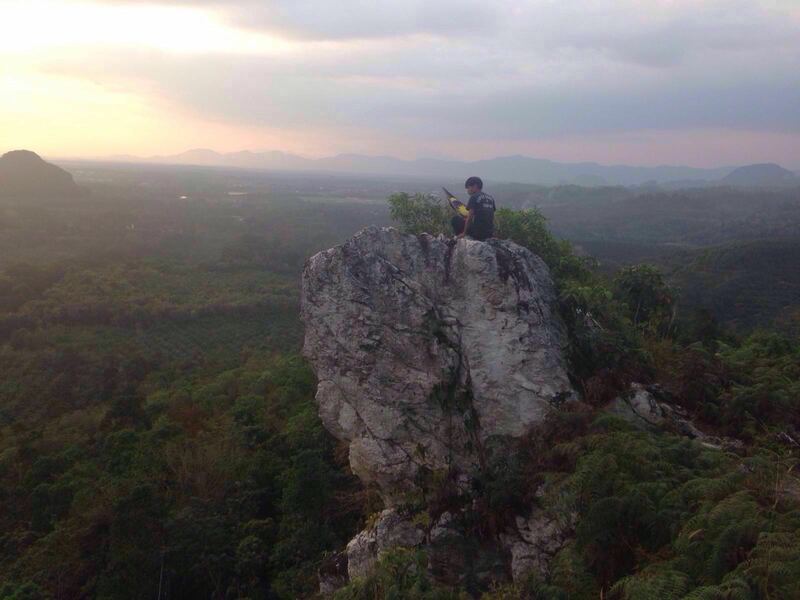 If you enjoy trekking and hiking, then Batu Putih is a must place to go! 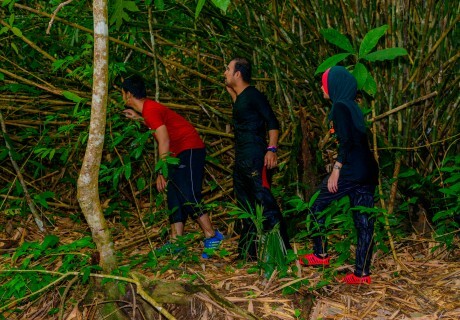 Trek the forest at Gopeng and see the different flora and fauna that are common inhabitants of the forest. 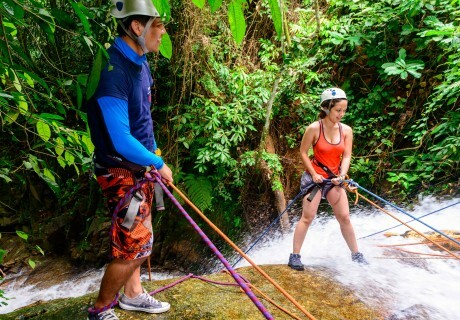 After your hiking tour ends, reward yourself with the beauty of the nature and enjoy the panoramic overview. 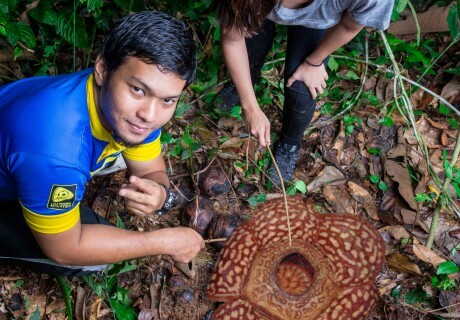 Rafflesia is claimed as the biggest flower in the world. 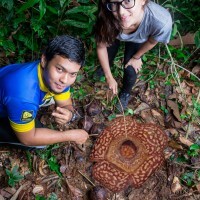 The trek to the Rafflesia is near a little village about 12km from Gopeng, near Ipoh, Perak. 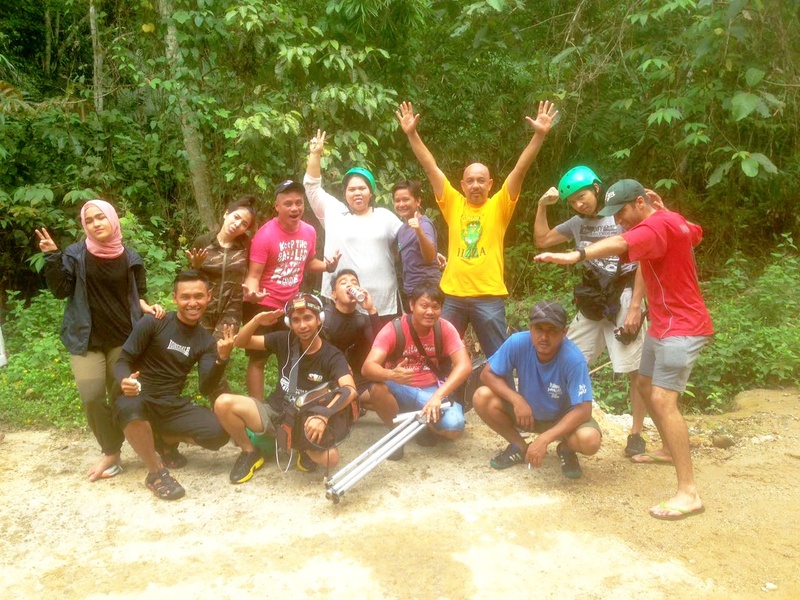 Trek through the jungle to where the Rafflesia thrives, you need to engage the services of a Semai Orang Asli guide. 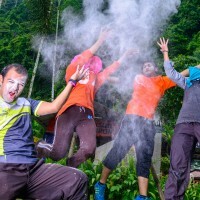 The trekking activity will be done at steep, wet, and slippery trail and some part of the way may involve walking through a small stream. 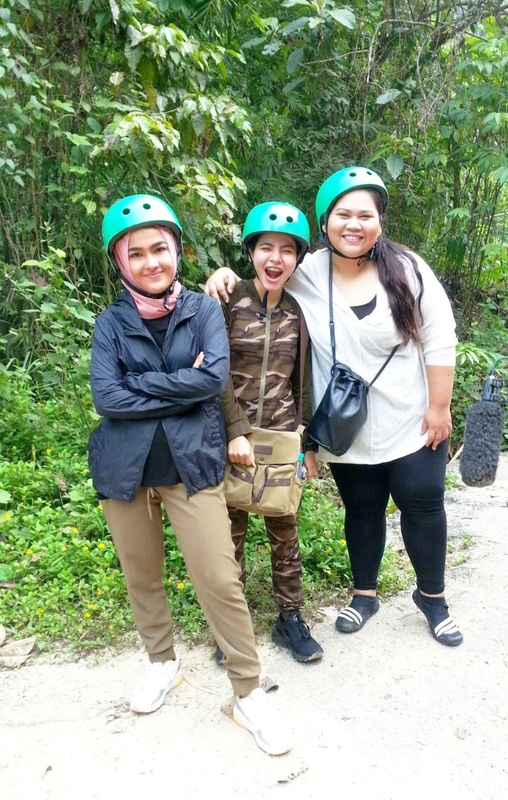 We recommended you to wear hiking shoes that have a good grip. There will be lots of leeches too. So if you have leech socks or the soccer socks, bring it along with you. 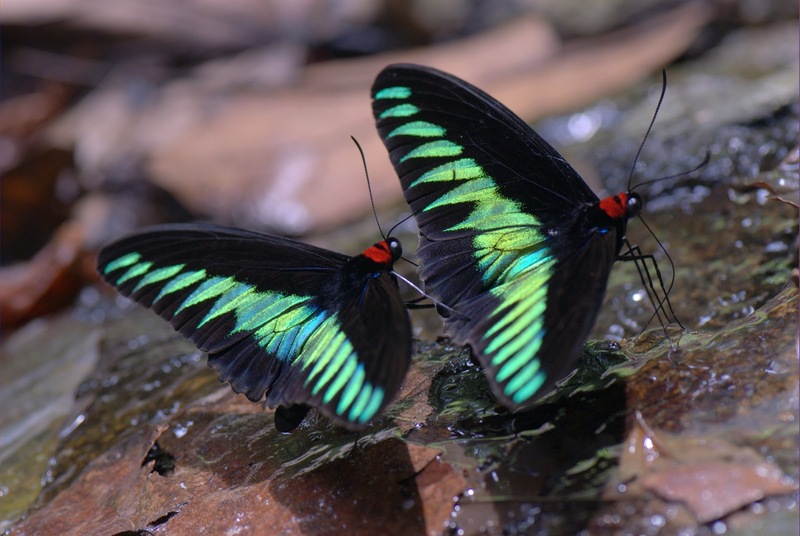 Pack your bags and set your sights on the finding the rarest butterfly specie feeding on minerals. 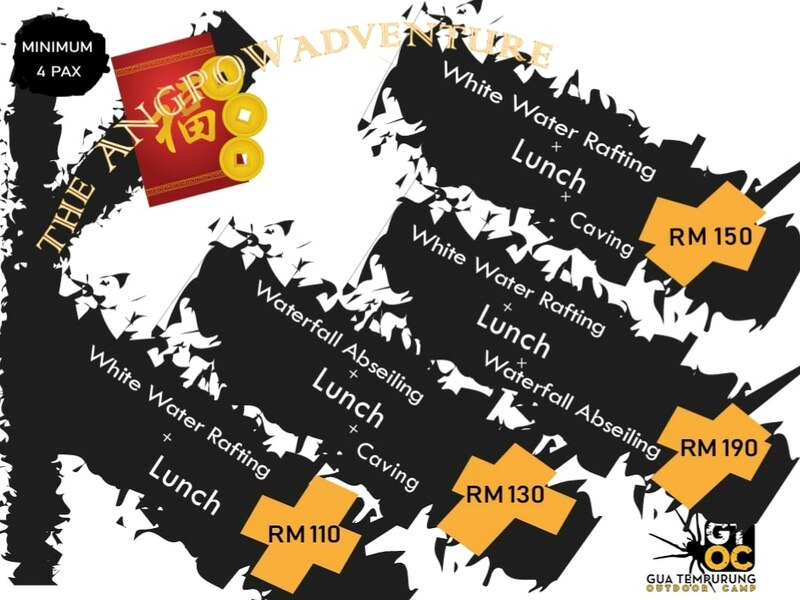 Head on over to Gopeng, to start your trek using the Ulu Geroh trail. Aside from the Rajah Brooke butterfly, you can also see other flora and fauna in the area. Learn more about the different species that inhabit the forest. 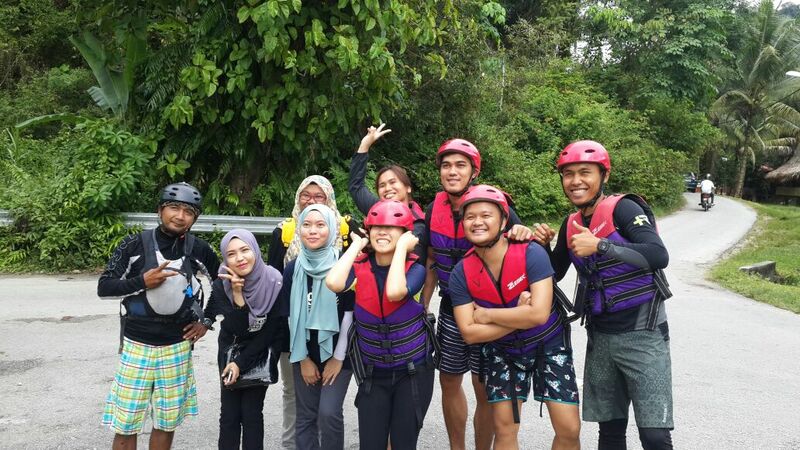 Discover the beauty of the Ulu Geroh trail and the species that live in it. 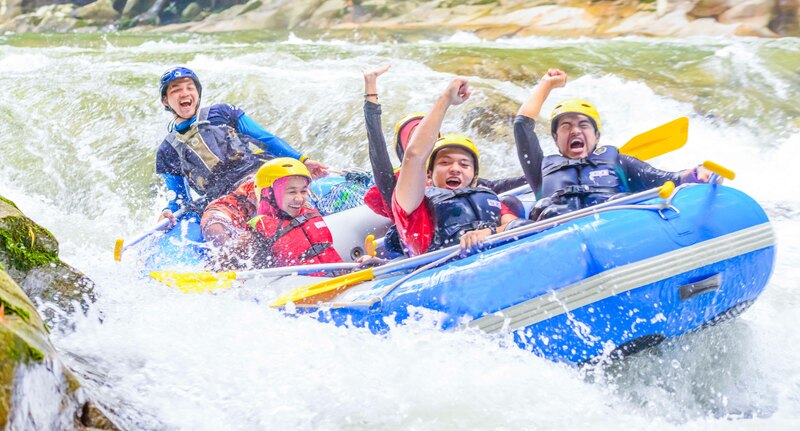 Kampar River provides a safe but thrilling experience with rapids up to grade level 3. 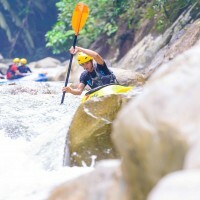 The kayaking activities for those who are looking for a challenging and fun activity while getting a good workout. 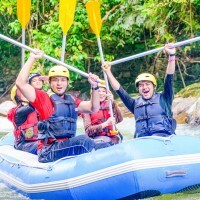 The guides will teach you basic kayaking skills and guide you down the river in the single or two-seater inflatable kayaks. 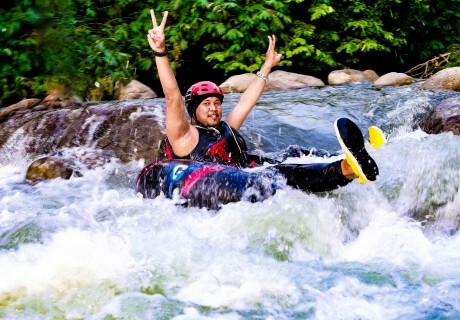 You need to be reasonably fit and not afraid of taking a swim in rapids. 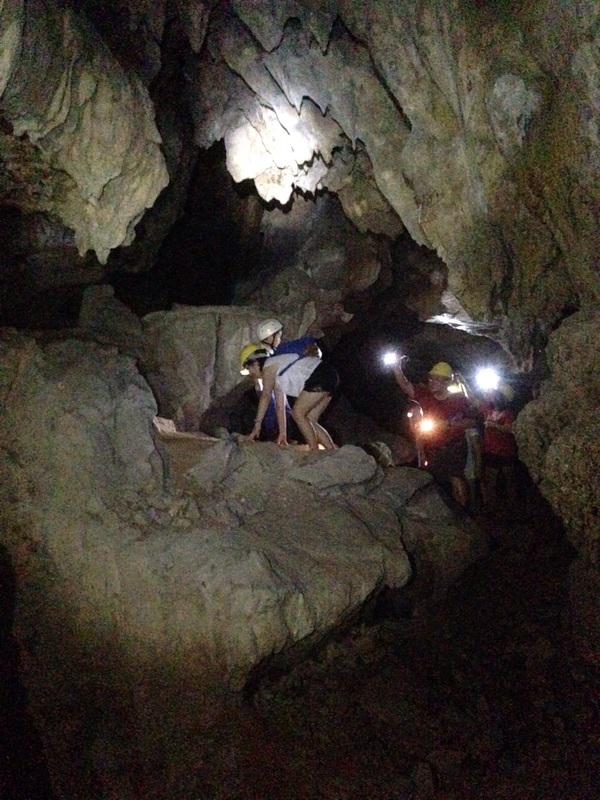 Get ready for a night trekking experience you surely won’t forget. 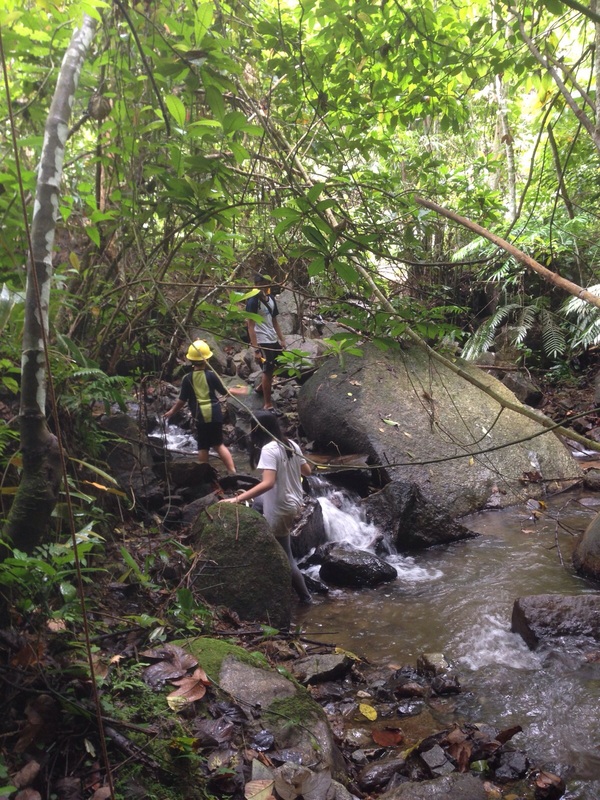 Trek the jungle in the night and spot the vast flora and fauna of the jungle. 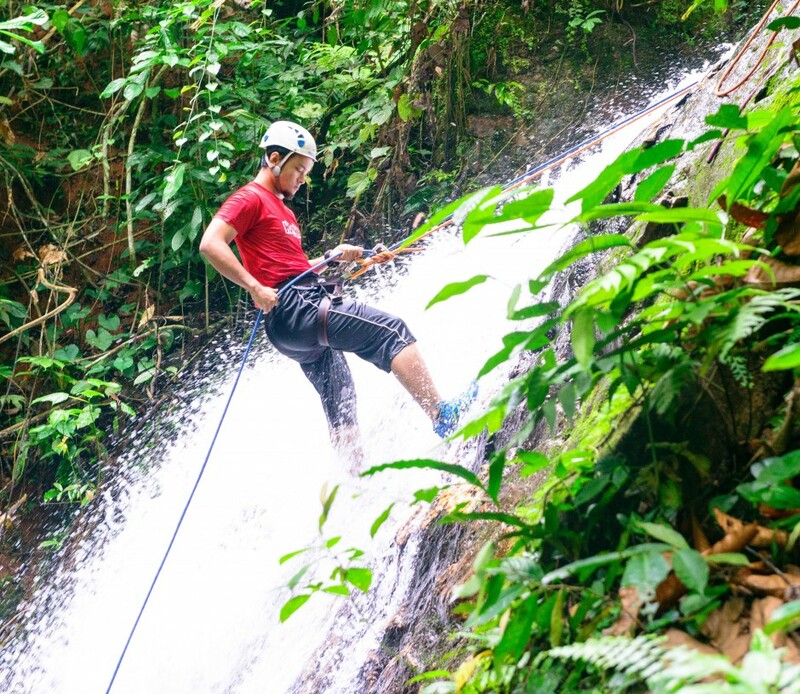 Have a true jungle experience, and trek up until the end!